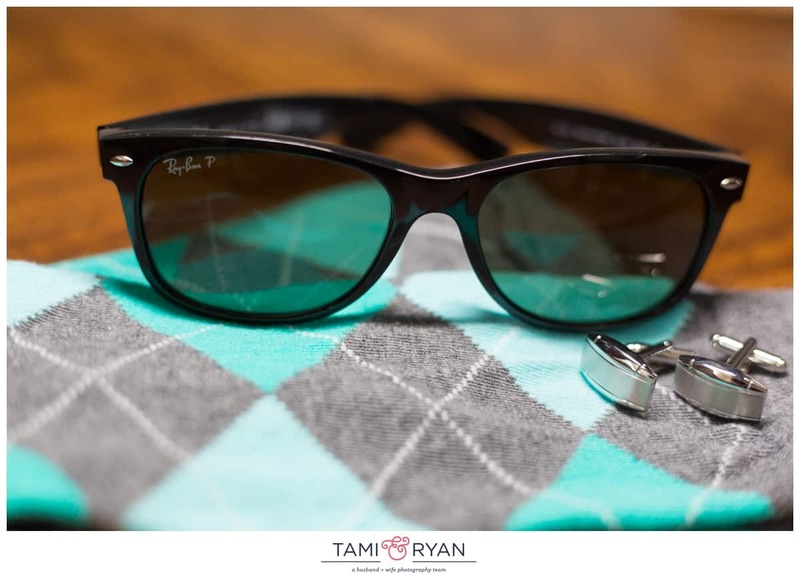 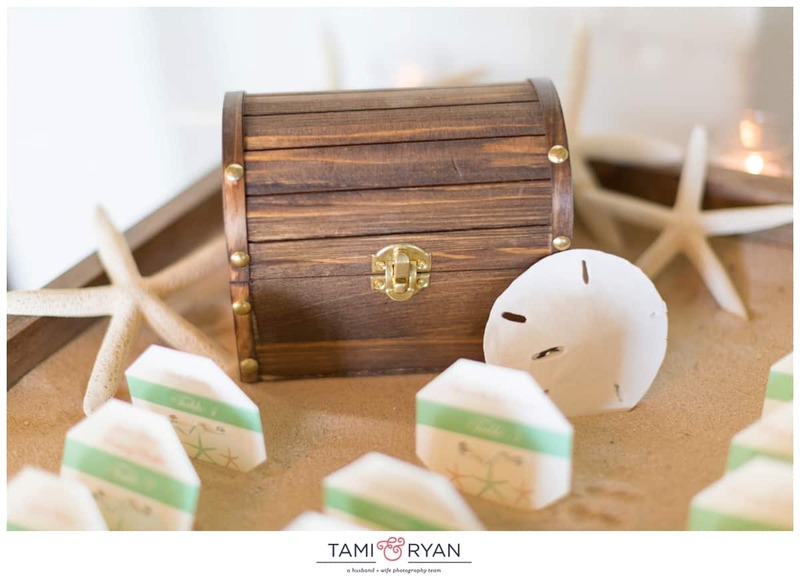 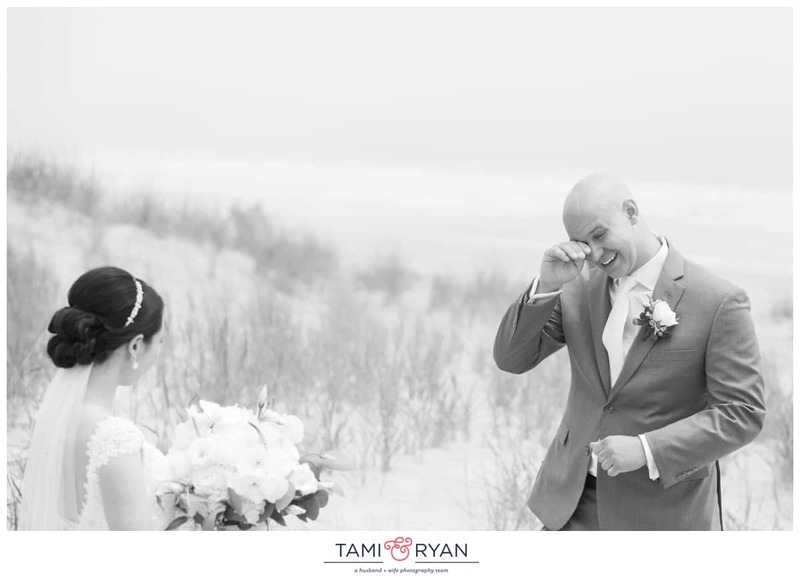 The island of Brigantine, right outside of Atlantic City, means the world to Alison and Jim. 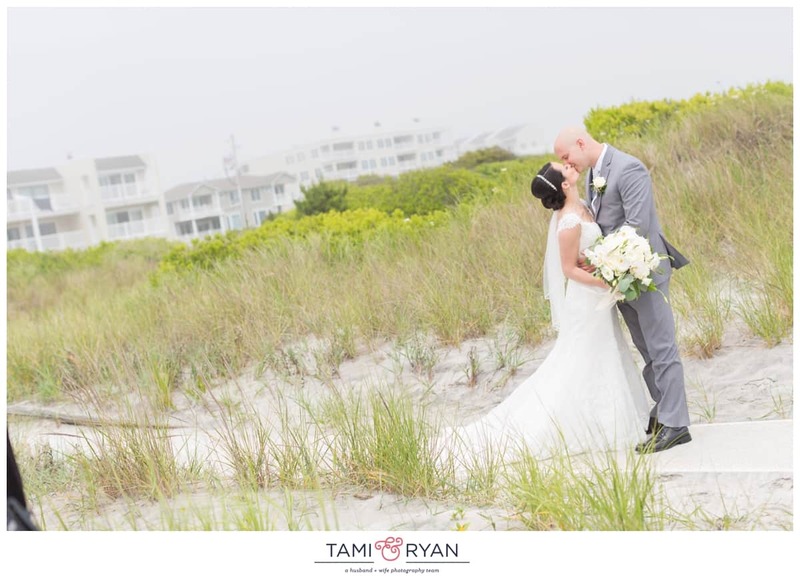 Their relationship started to blossom while spending summer nights at Alisons family’s beach house there. 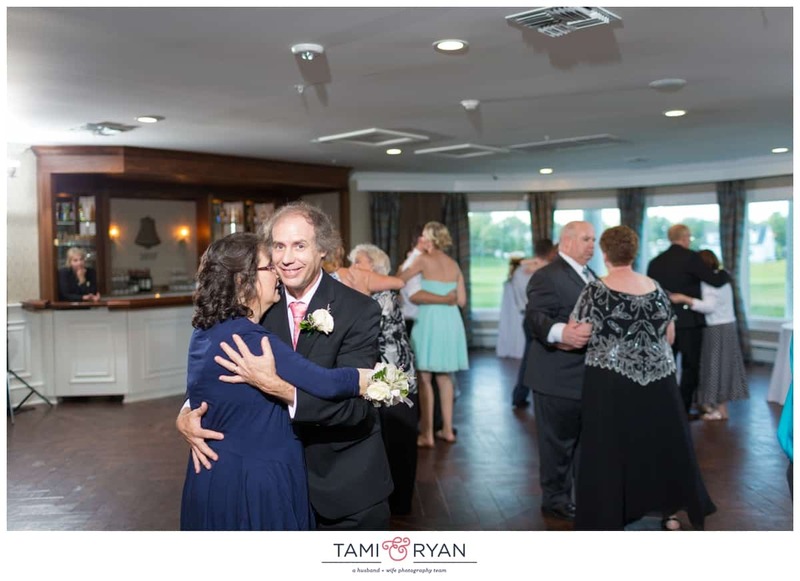 Jim popped “the question” there. 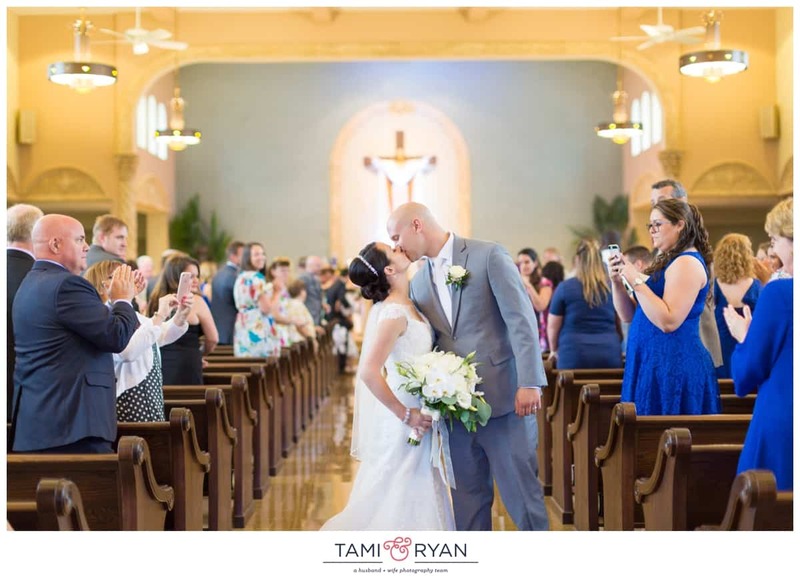 And on June 17th, 2017, they said their I Do’s and officially became husband and wife at St. Thomas Church in Brigantine. 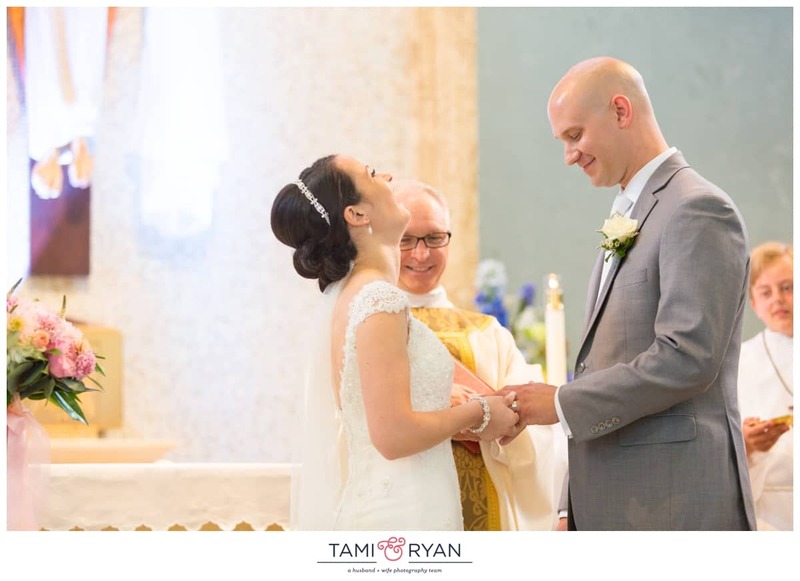 The day that Jim proposed to Alison, he said “You make me so happy, I want to be this happy forever.” Well, forever began on this day. 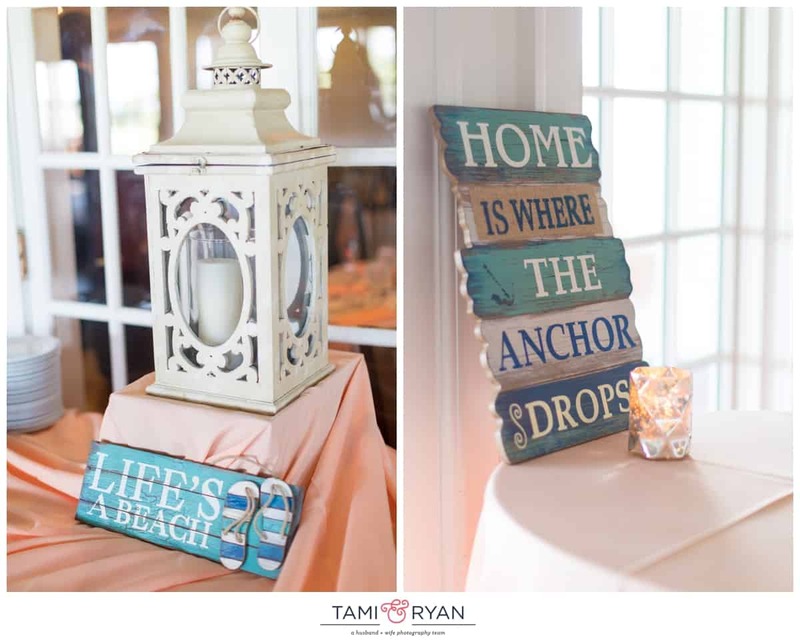 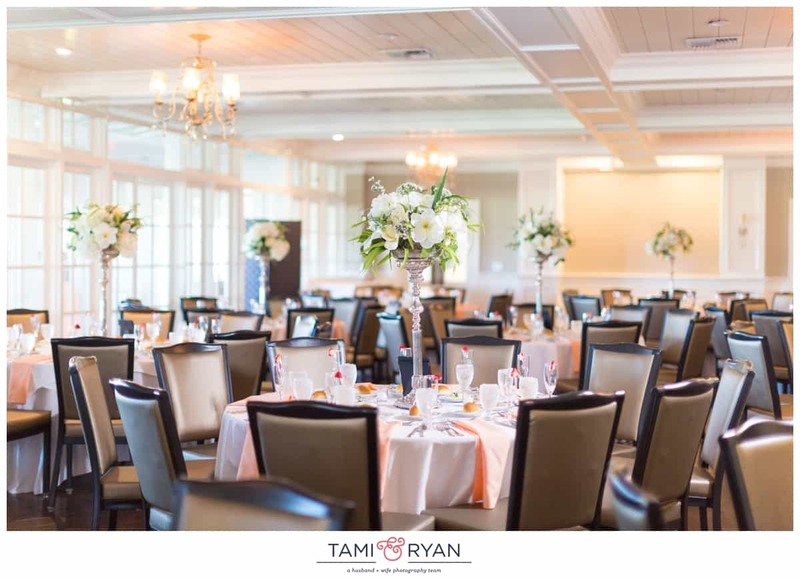 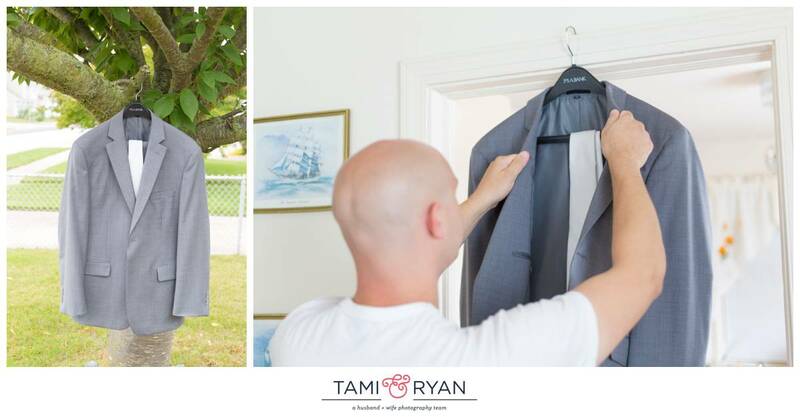 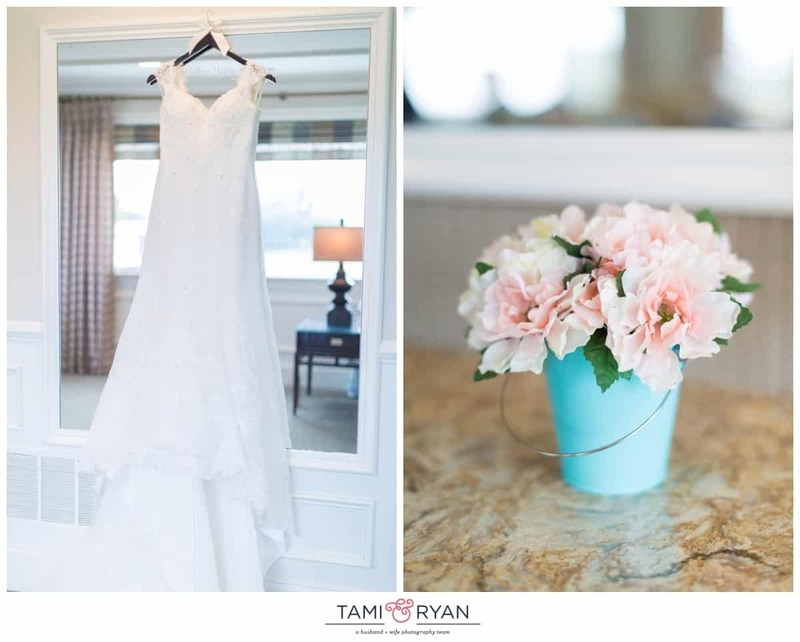 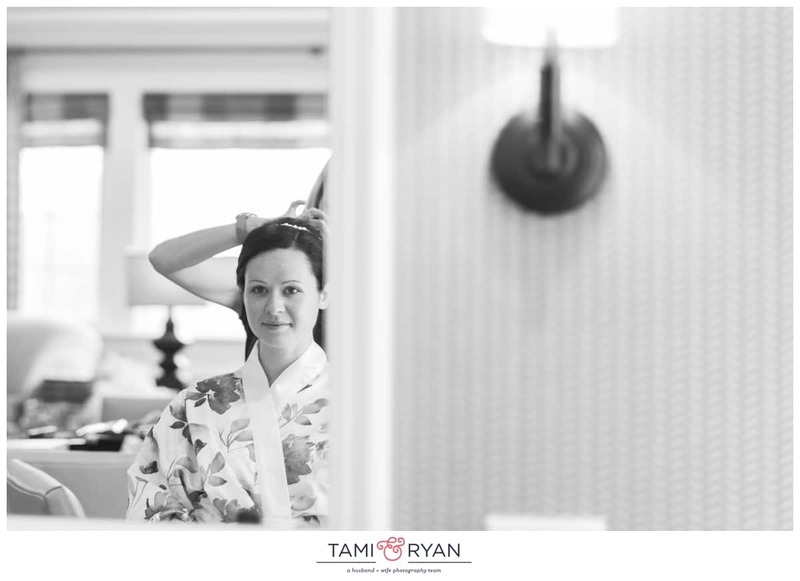 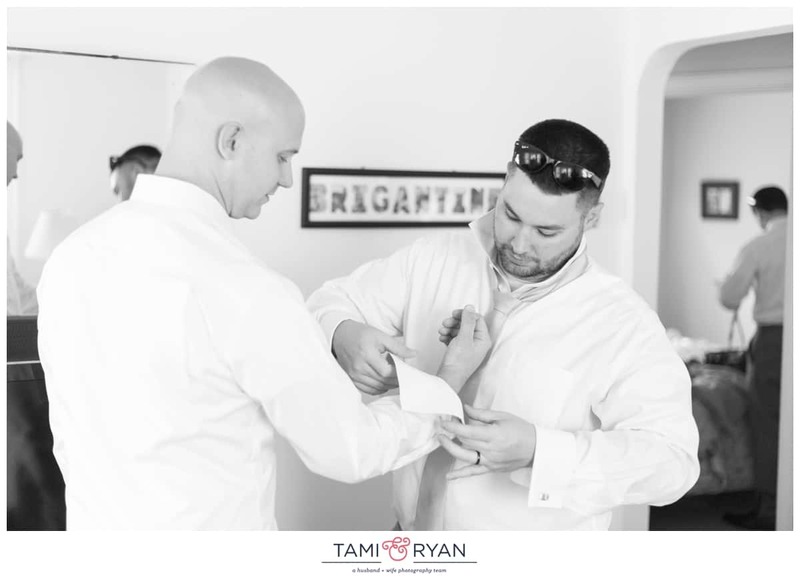 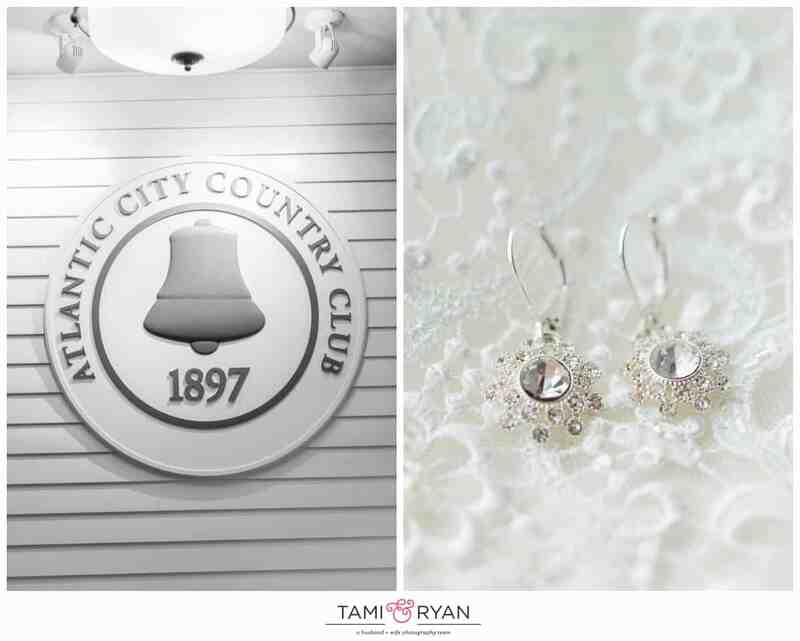 The day began as we arrived at the Atlantic City Country Club for getting ready photos. 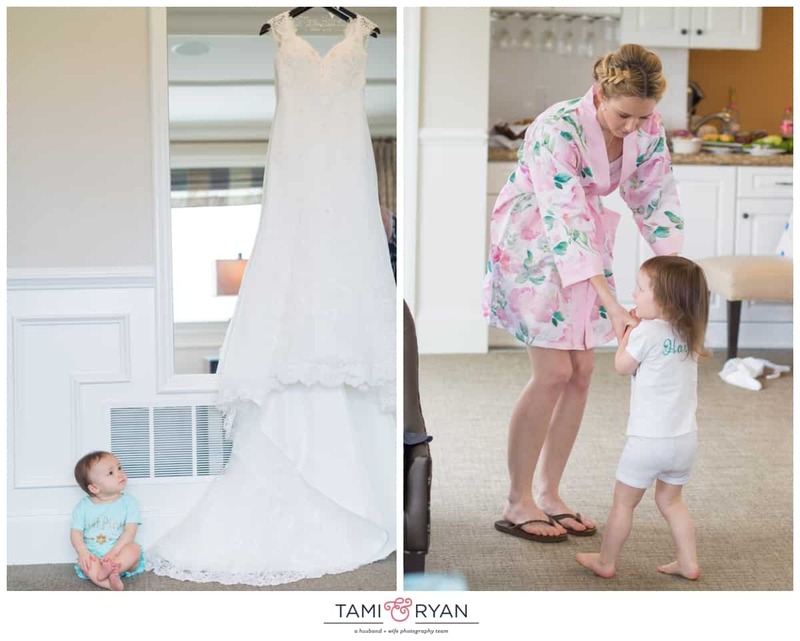 I was greeted by the ever so sweet Bridal Attendant Ana! 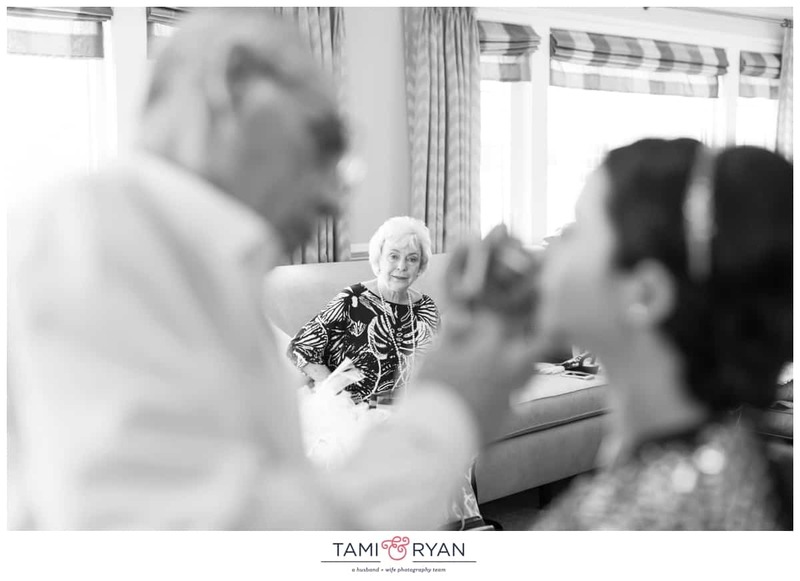 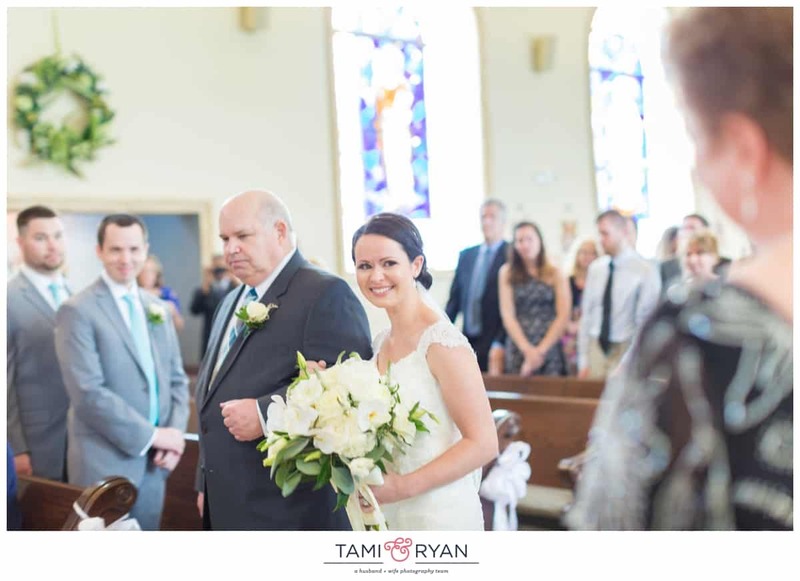 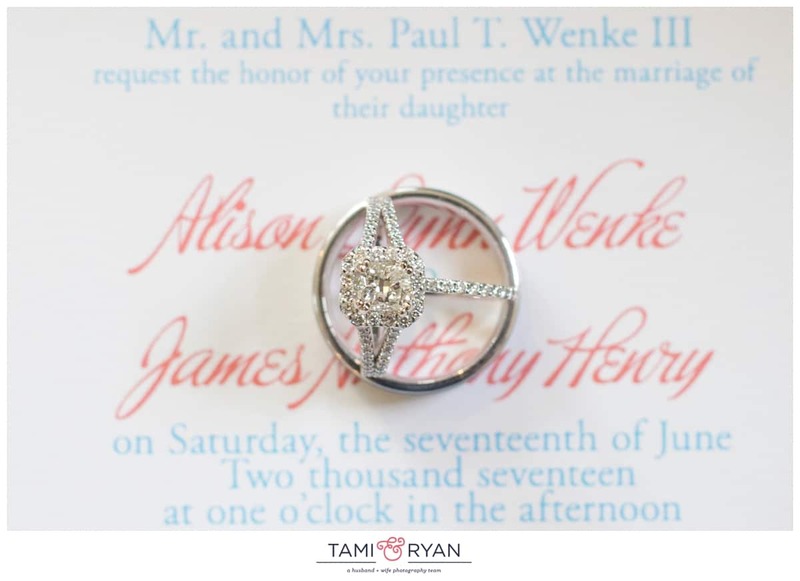 When it came to taking care of Alison and Jim throughout the day, she was absolutely amazing! 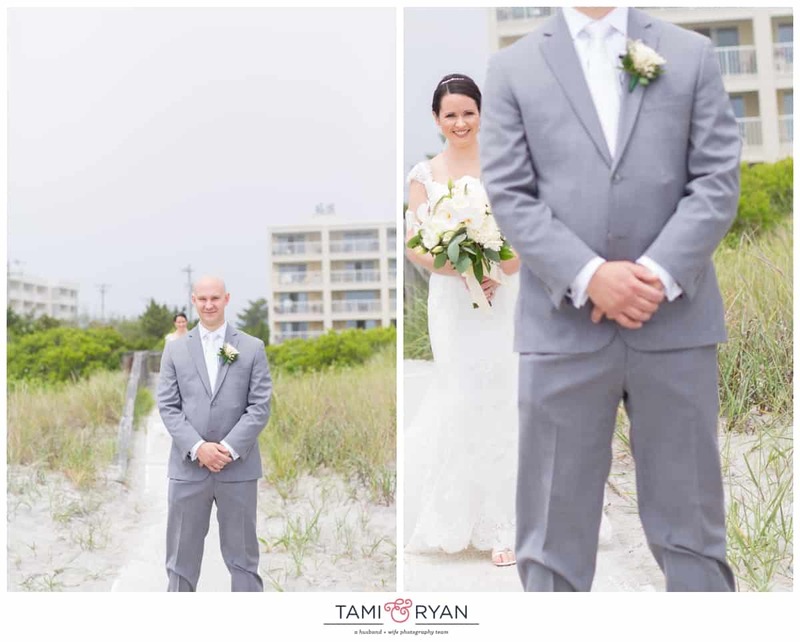 Alison and Jim decided to have a quick first look on 6th Street, where they normally go to the beach. 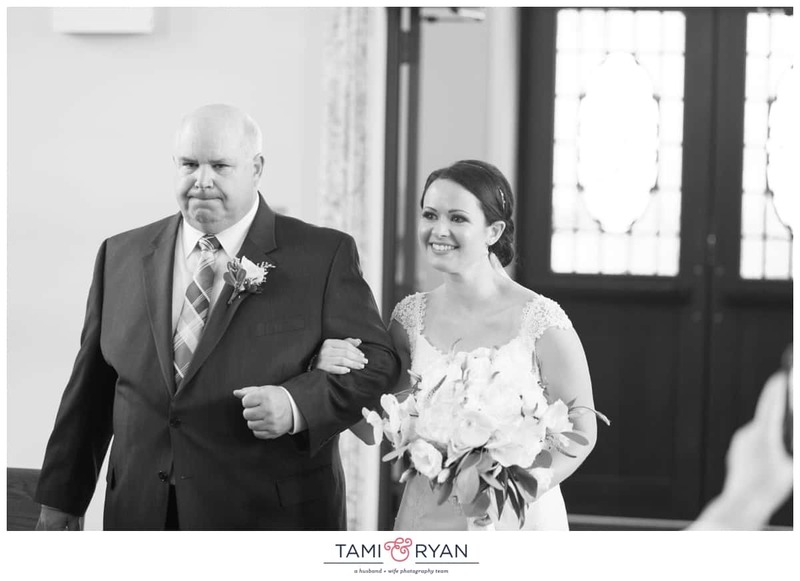 Jim’s reaction to seeing Alison was priceless! 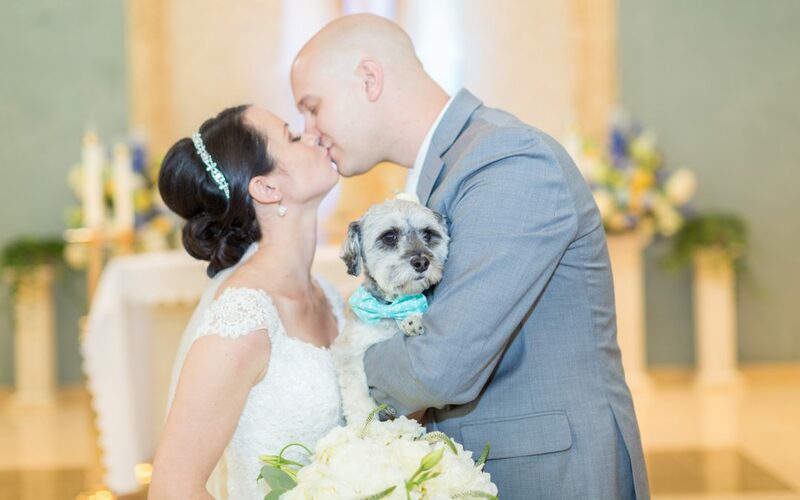 And who could blame him? 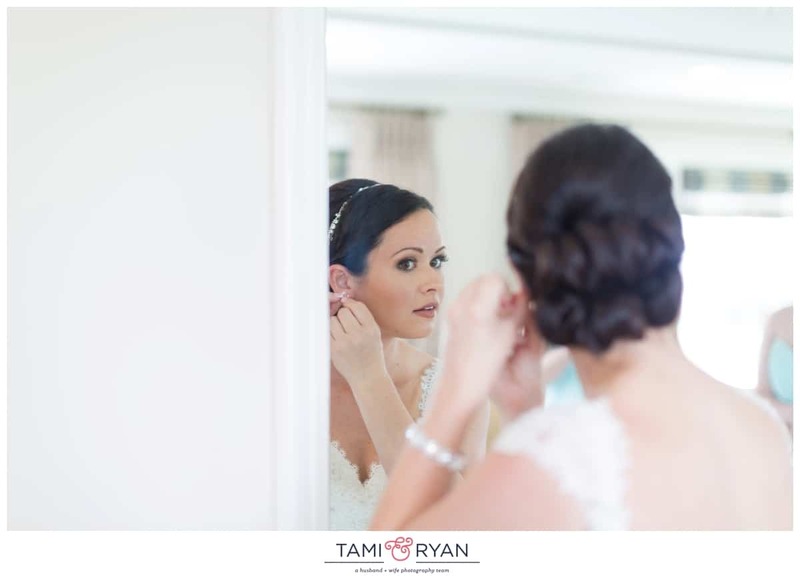 She was stunning! 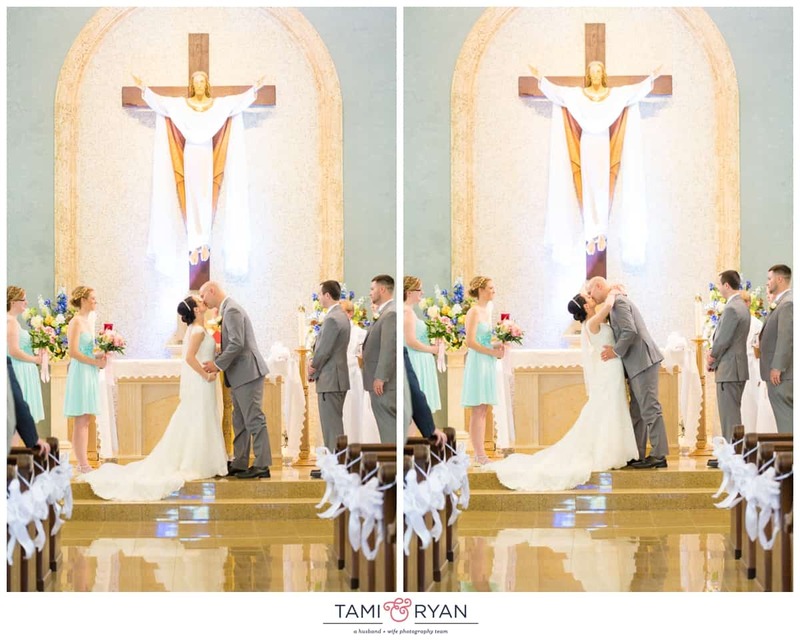 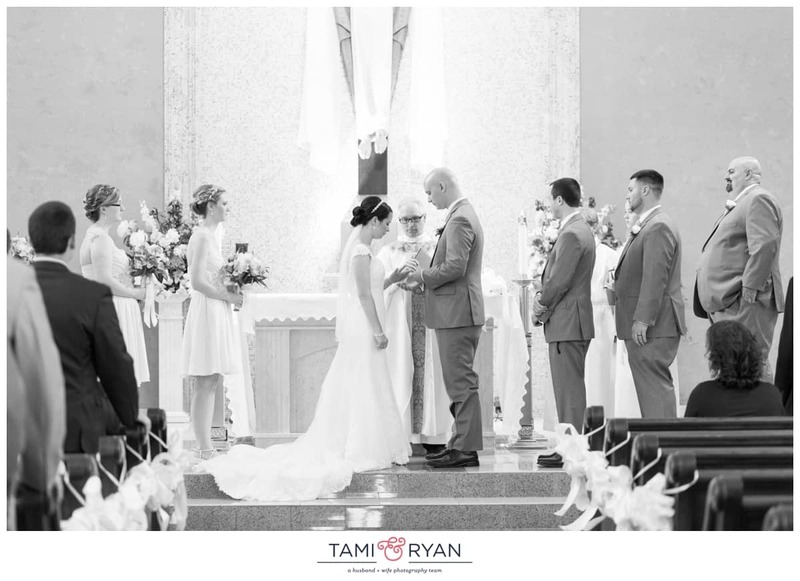 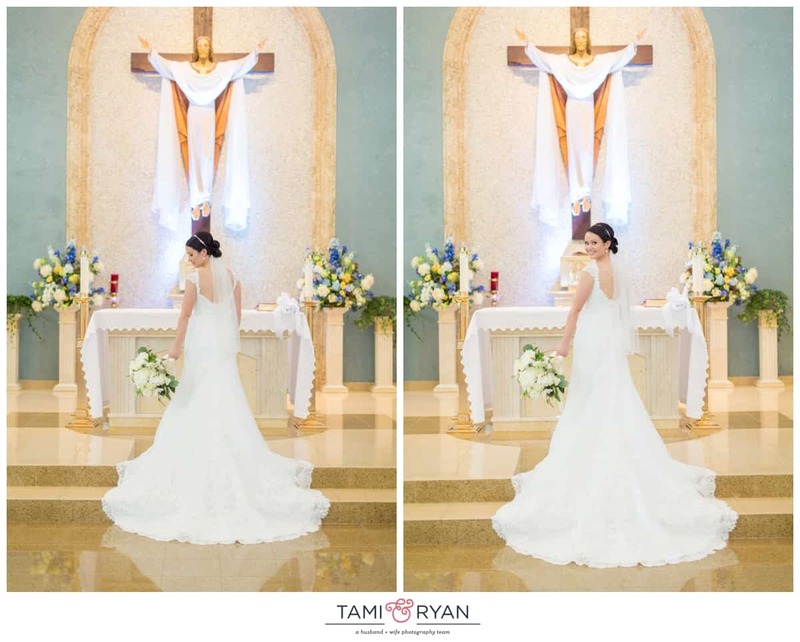 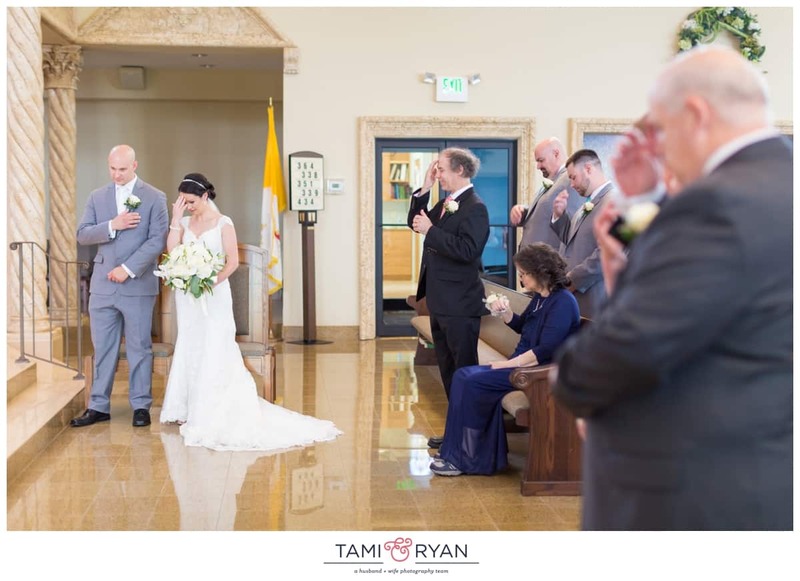 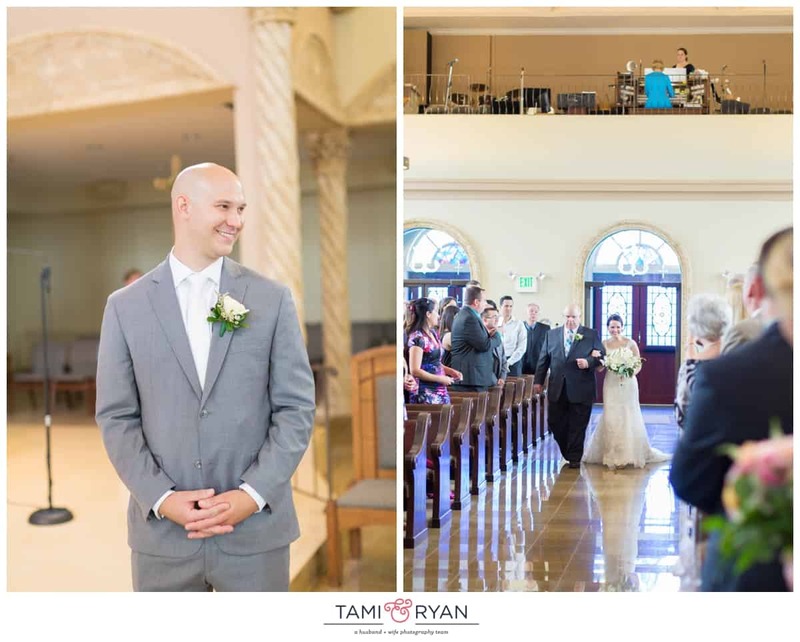 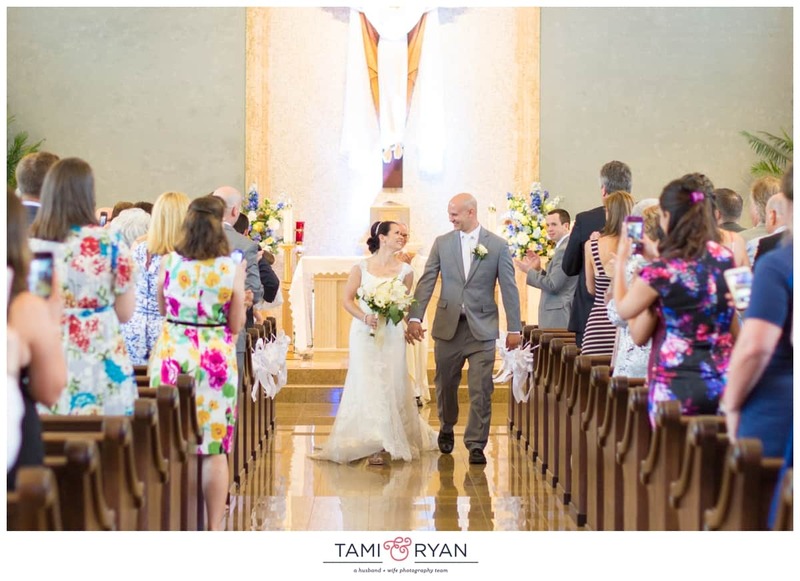 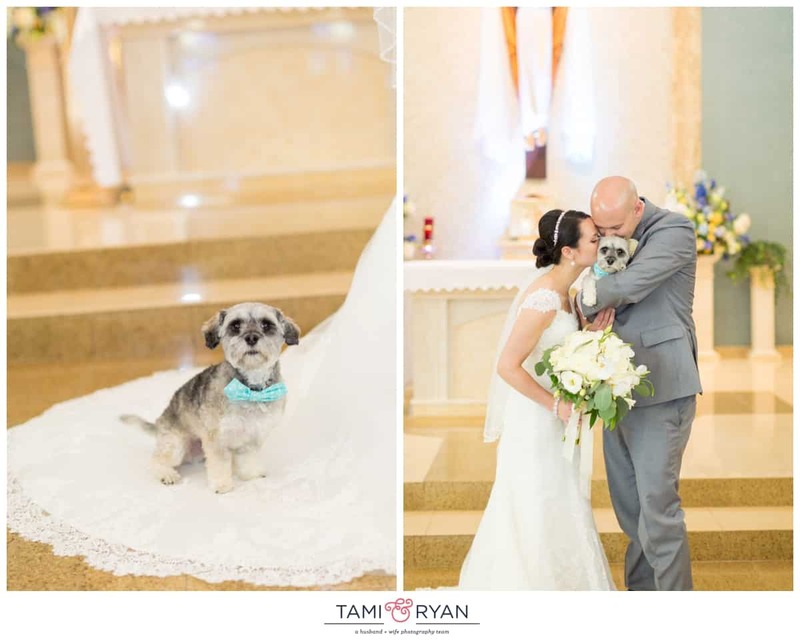 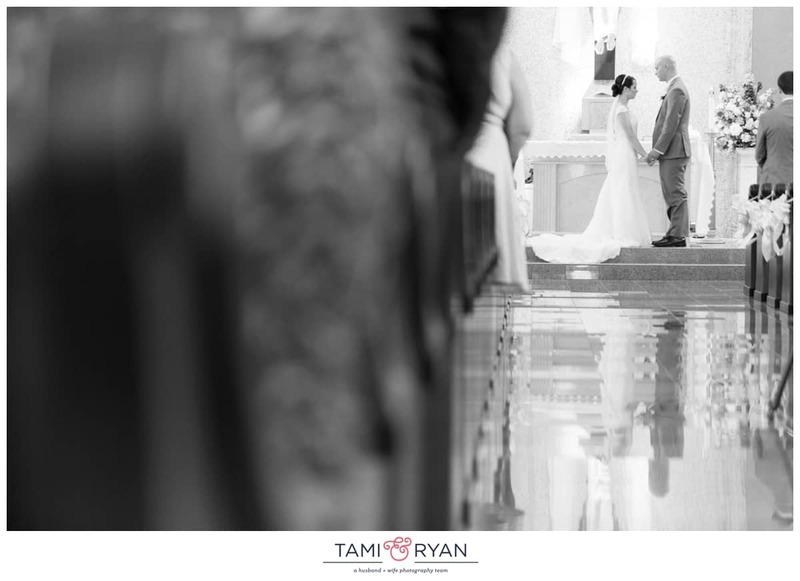 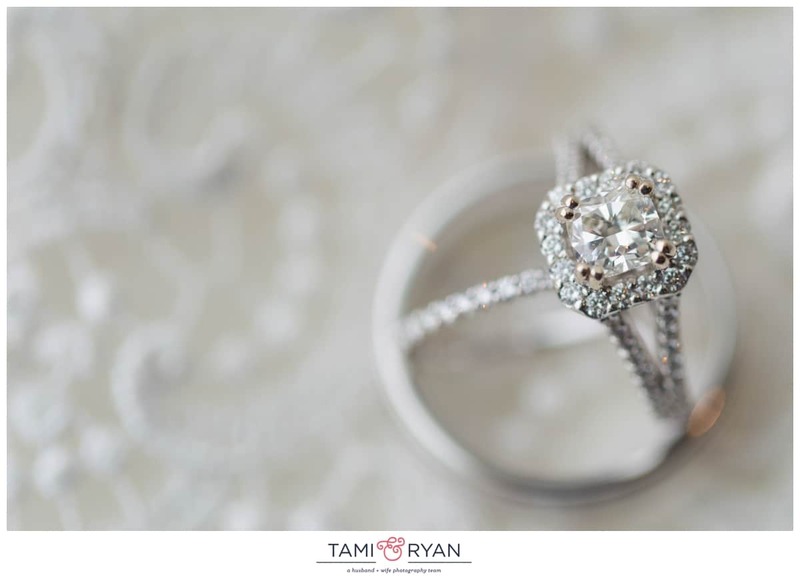 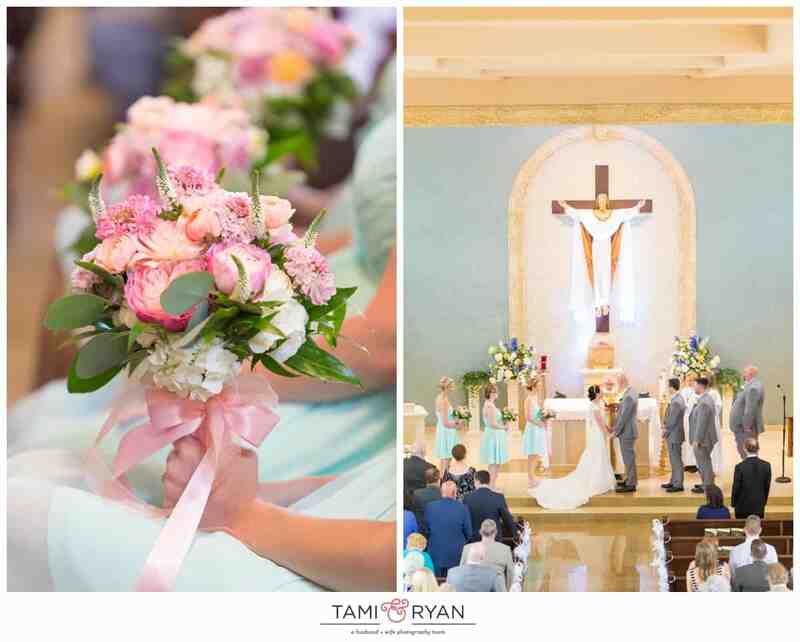 Their ceremony was at St. Thomas Roman Catholic Church, only two streets away. 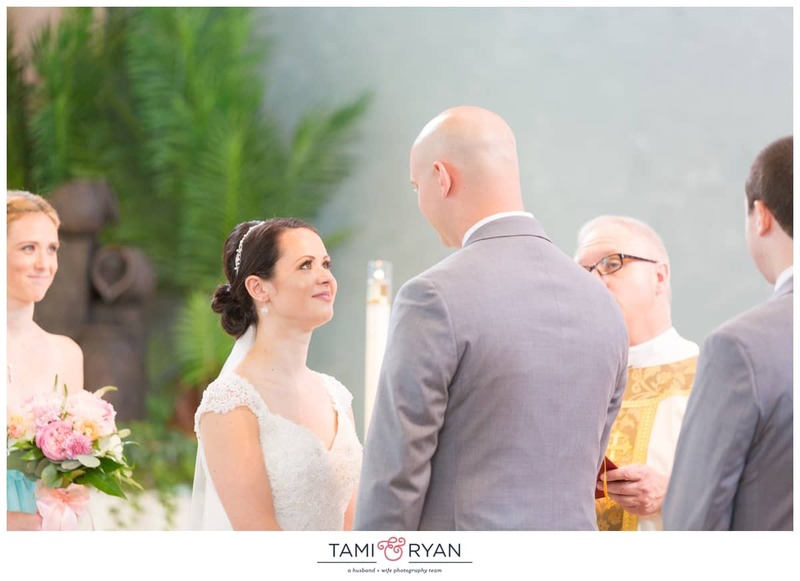 Father Michael Davis made their ceremony so personal to them. 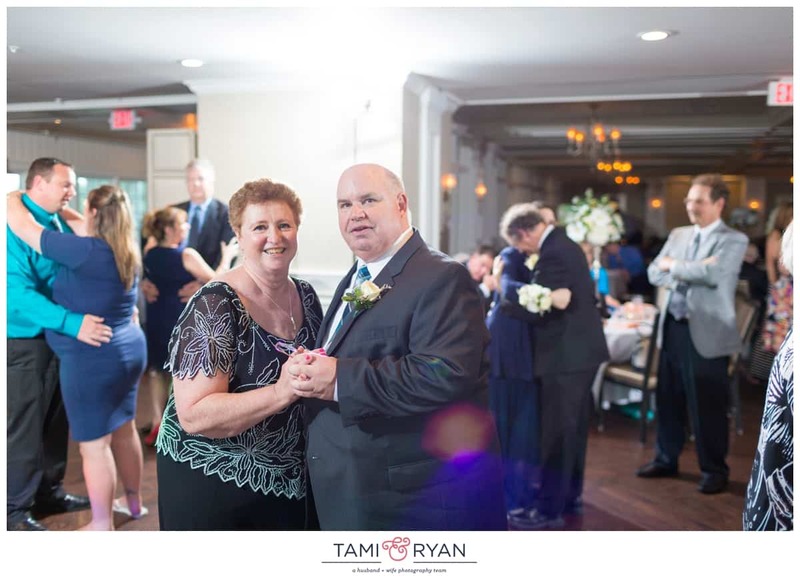 He even got their parents involved – both of which have been married for 33 years! 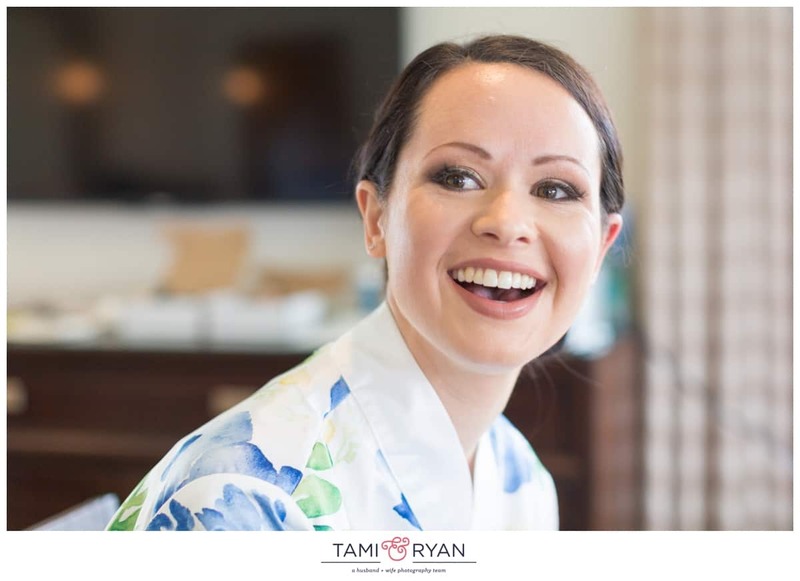 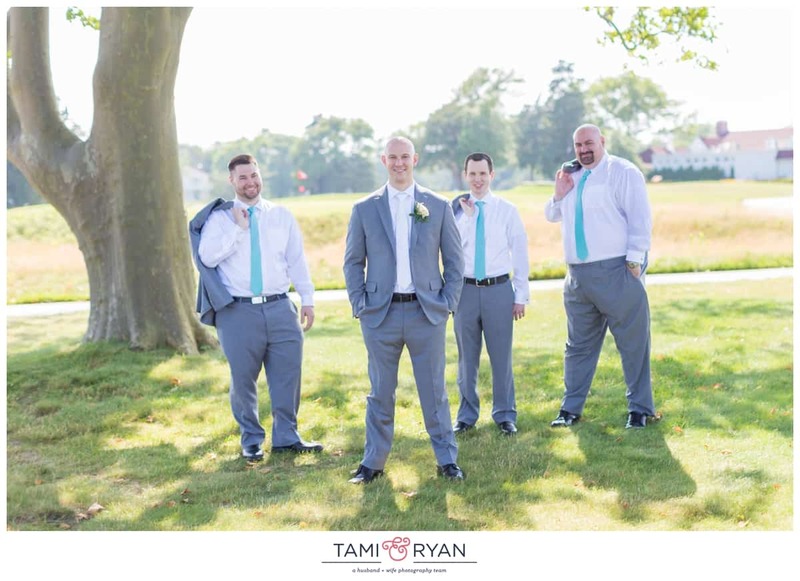 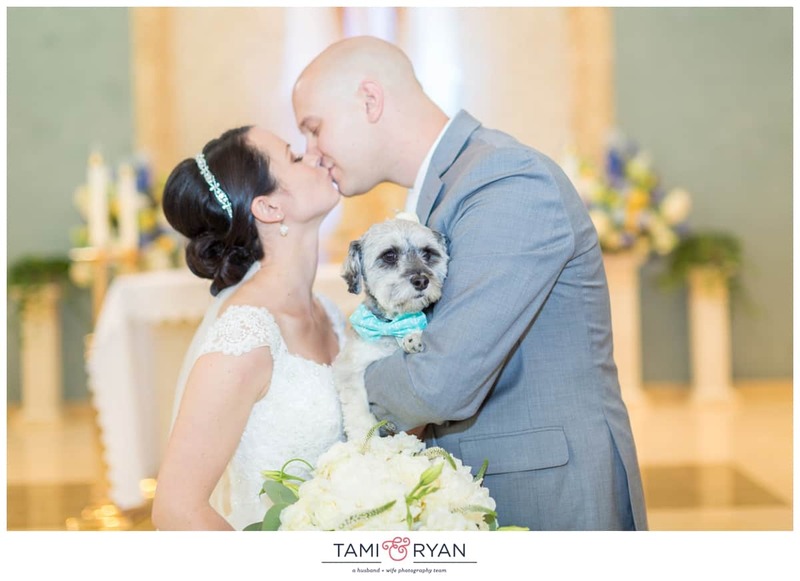 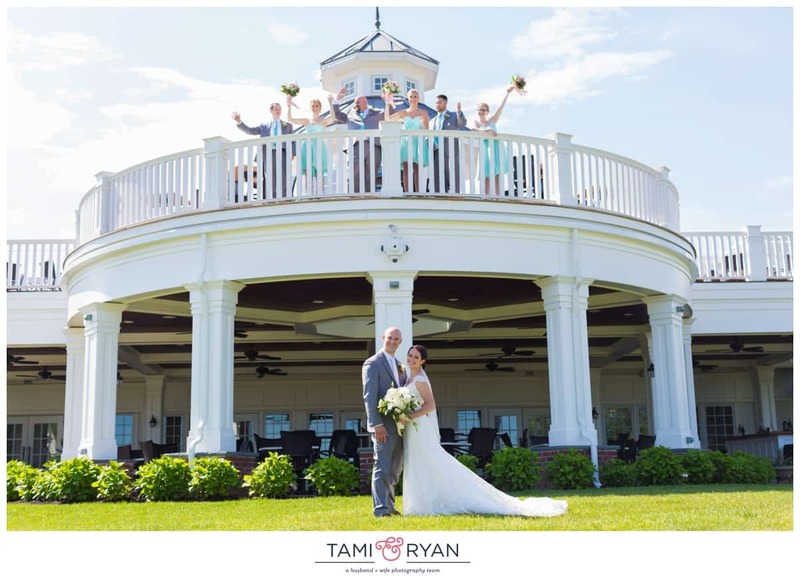 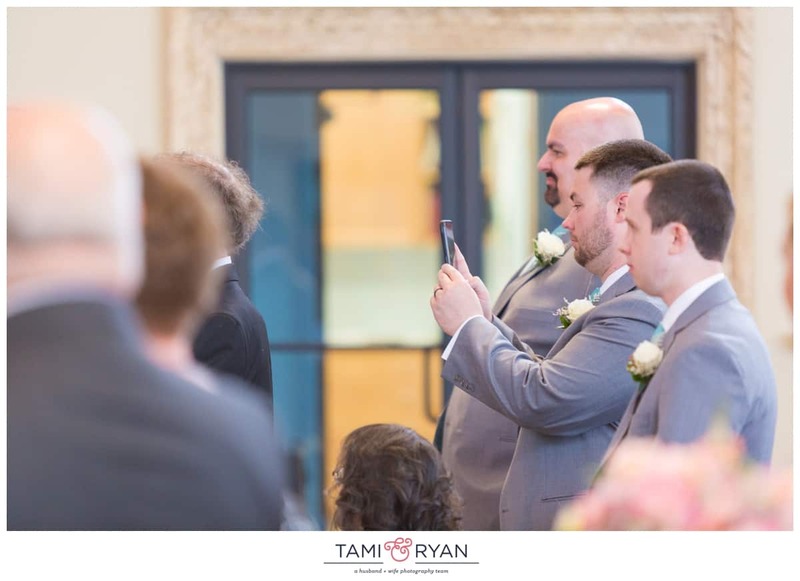 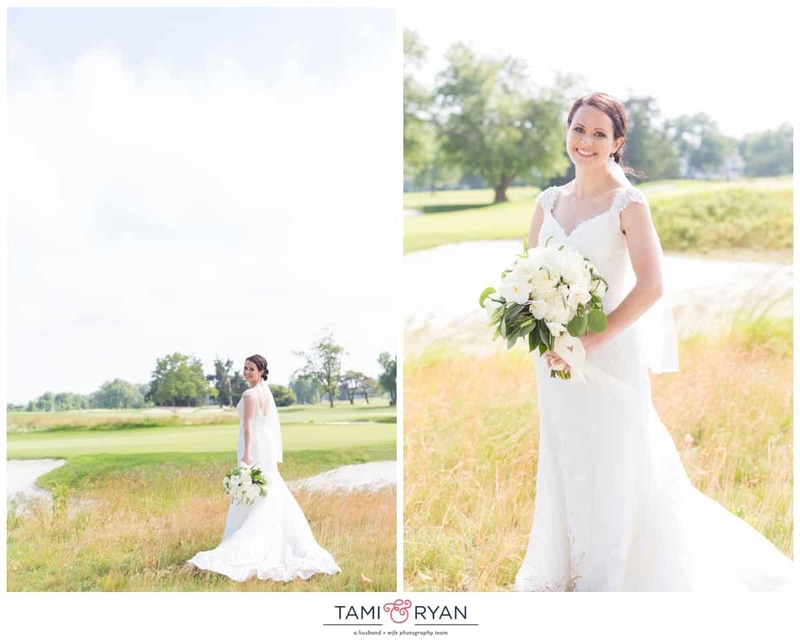 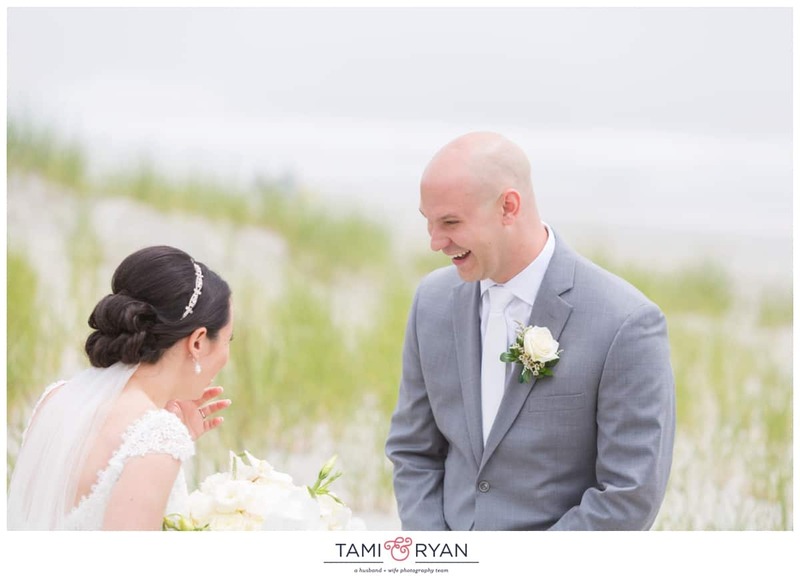 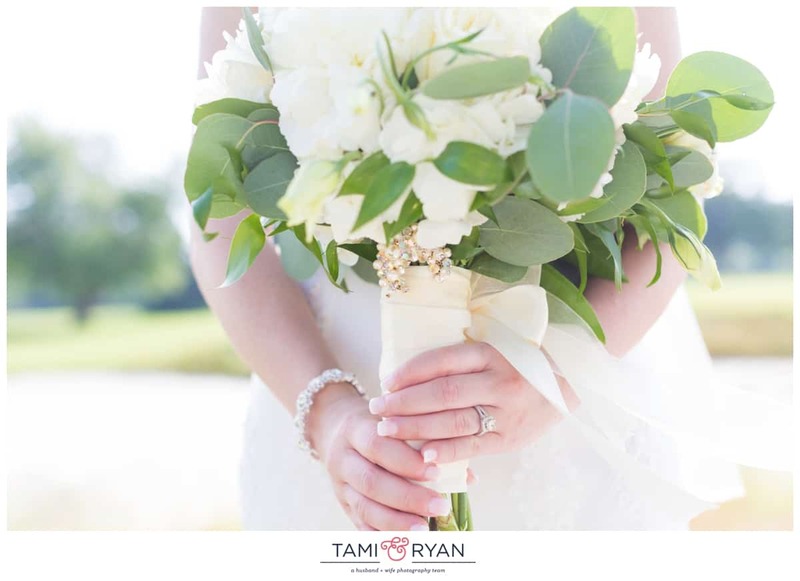 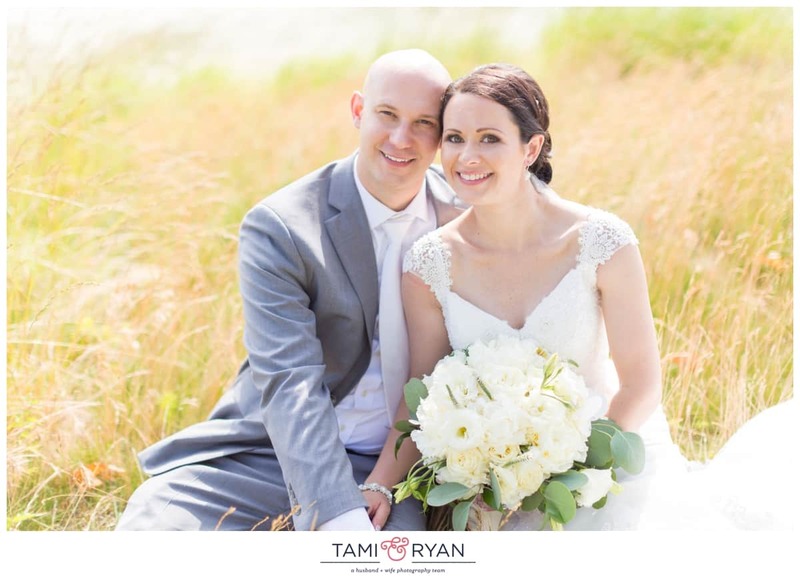 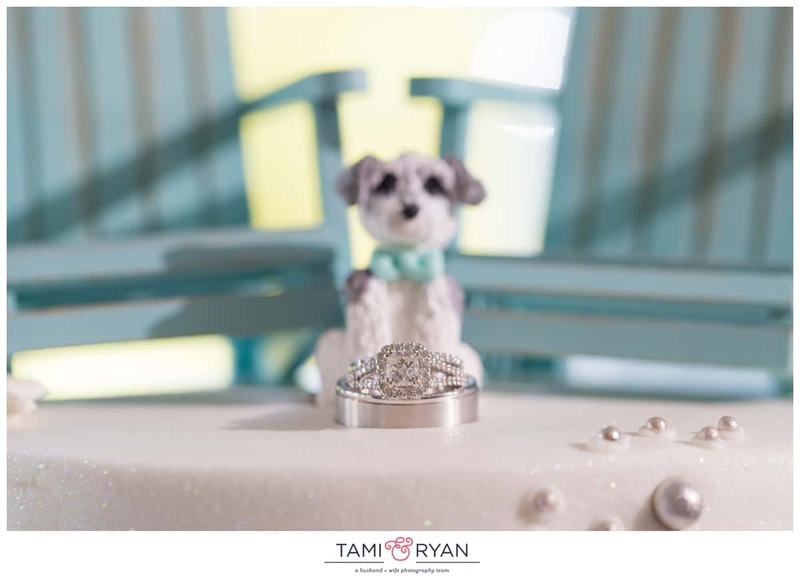 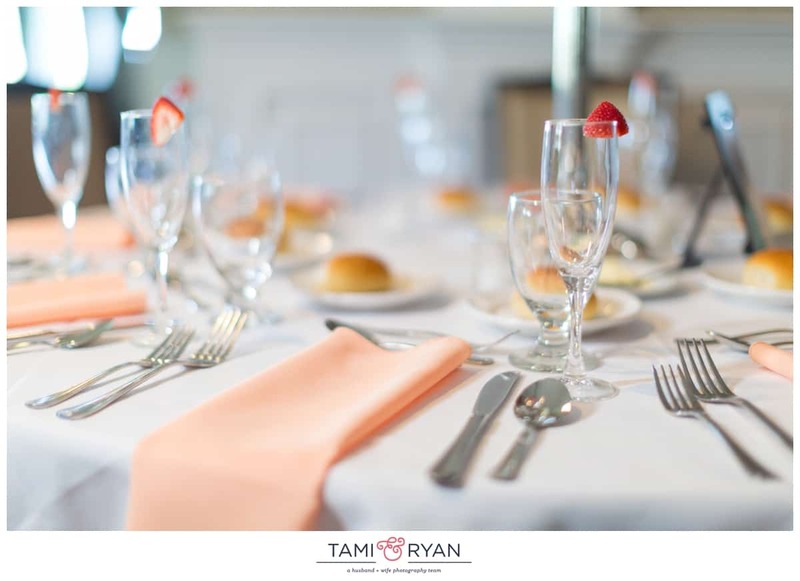 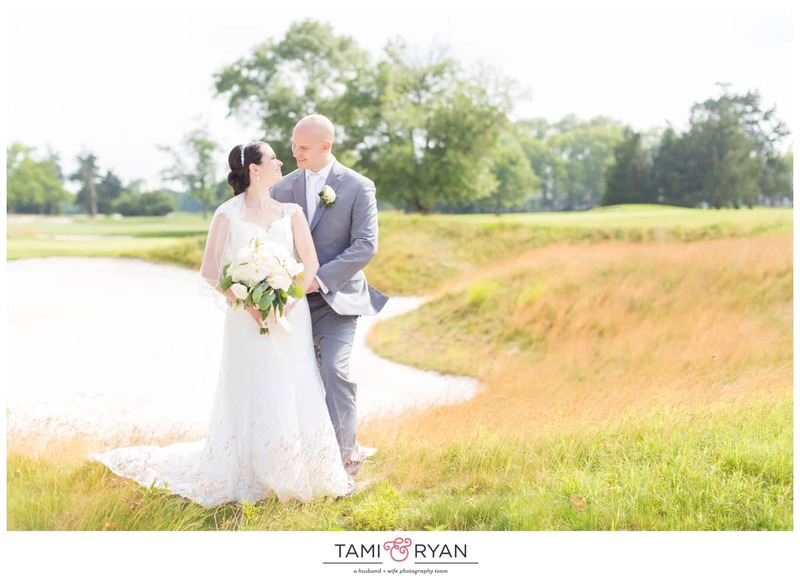 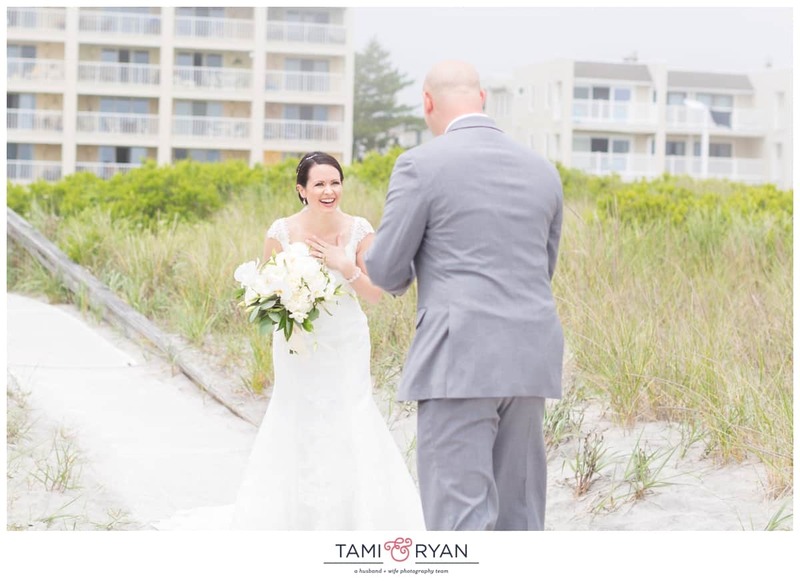 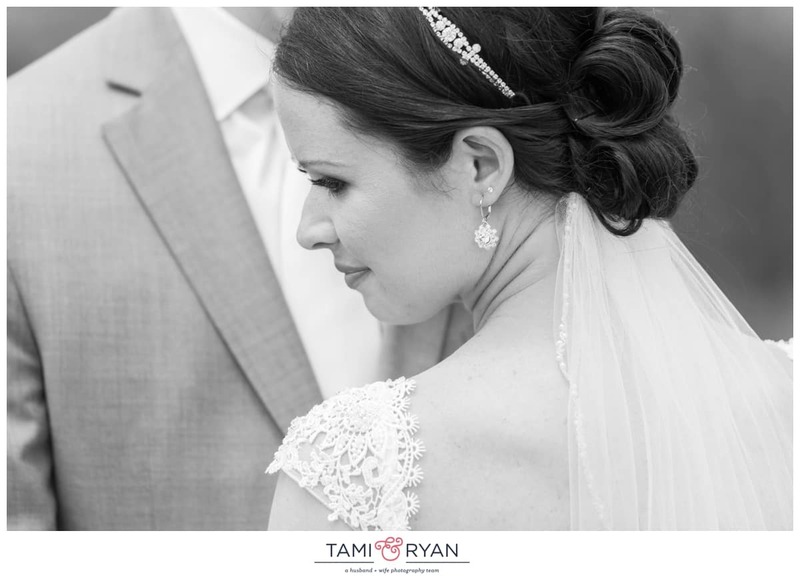 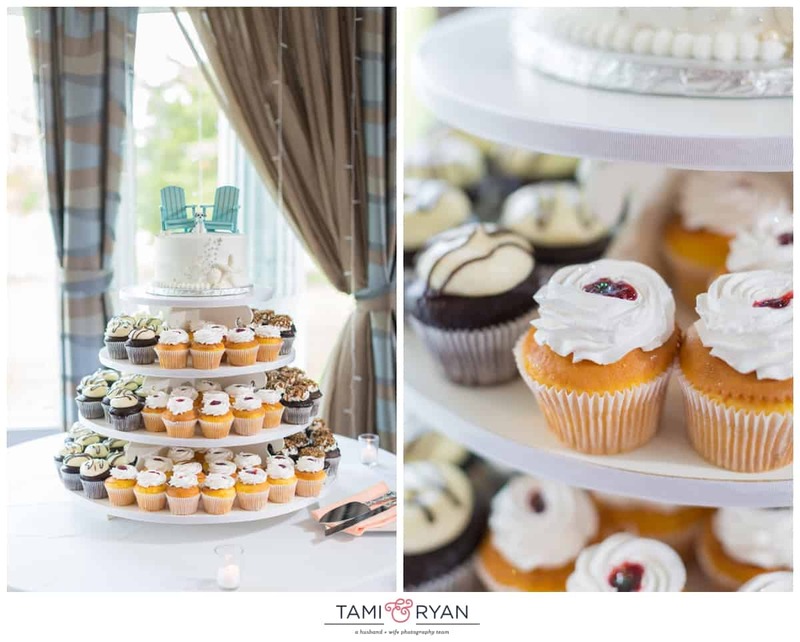 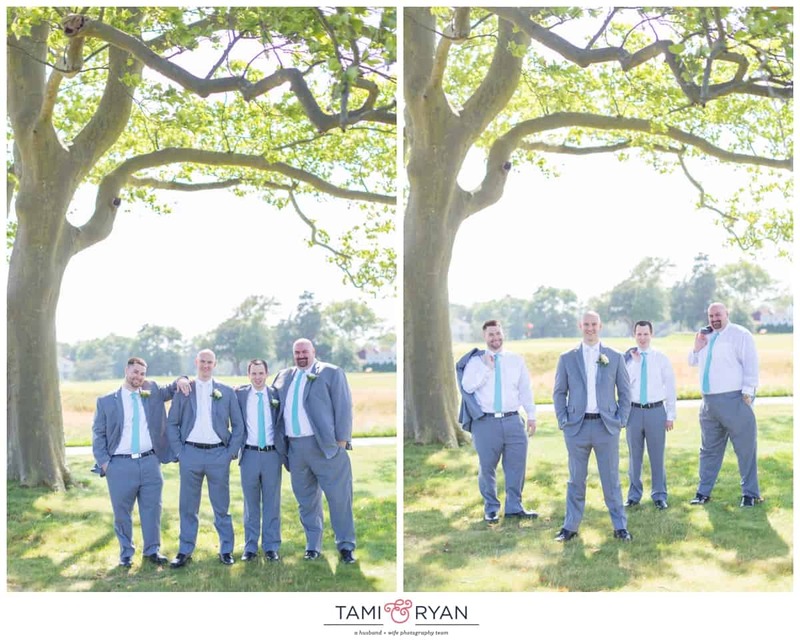 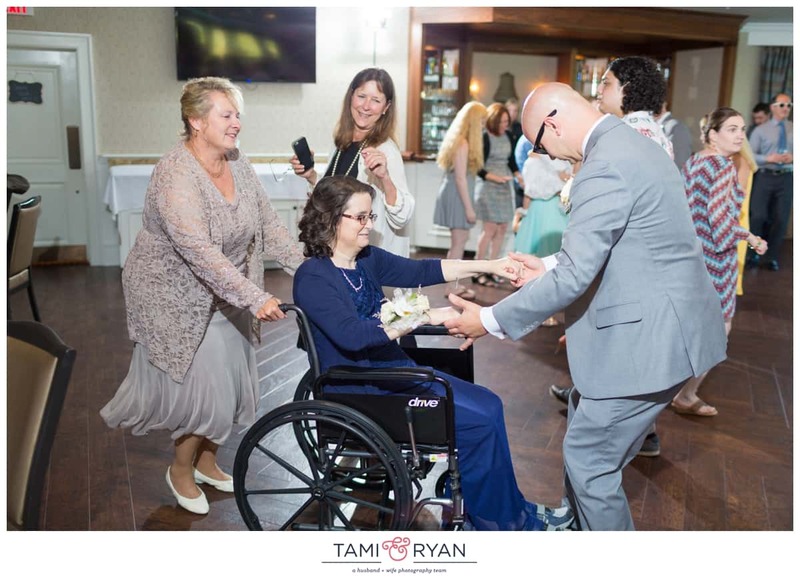 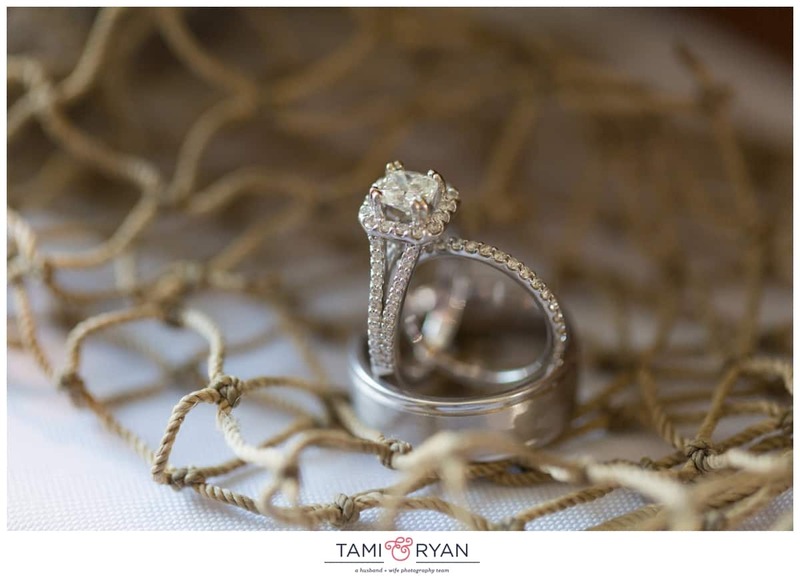 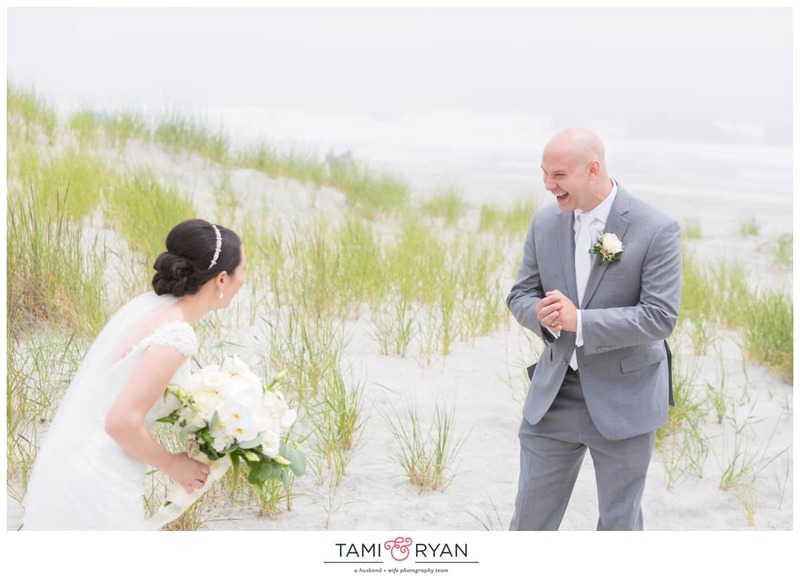 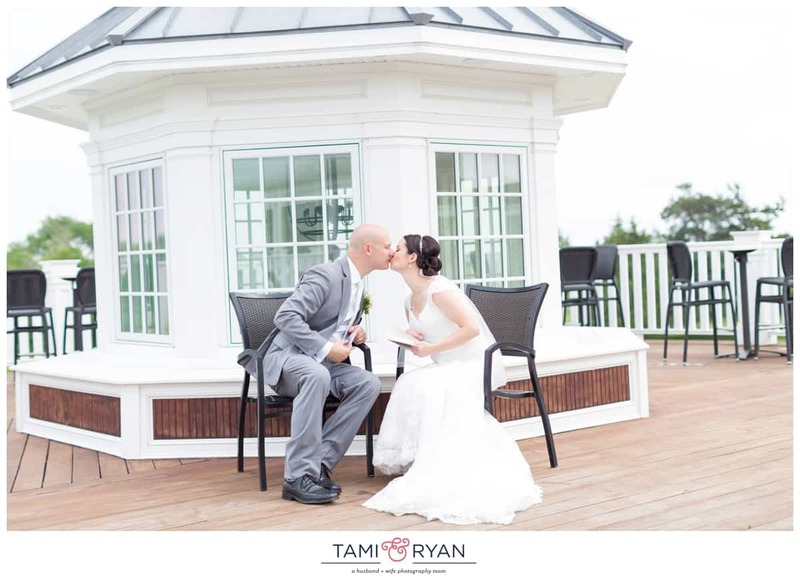 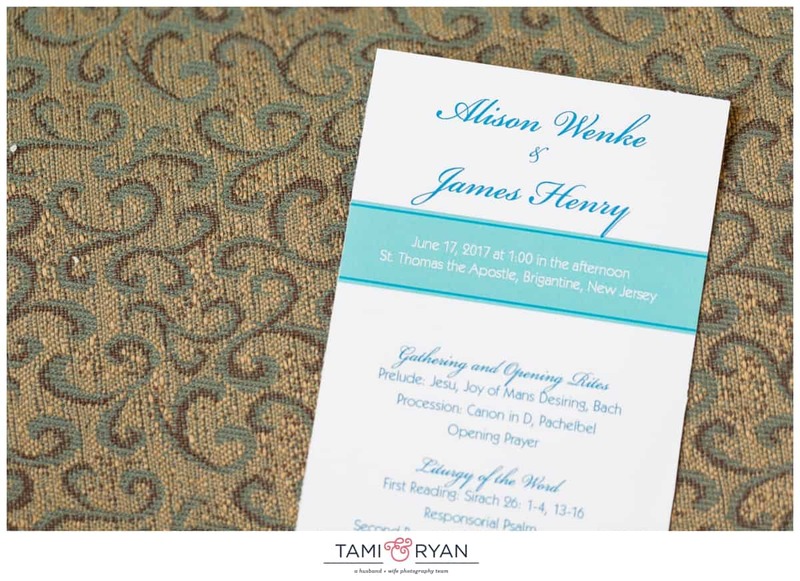 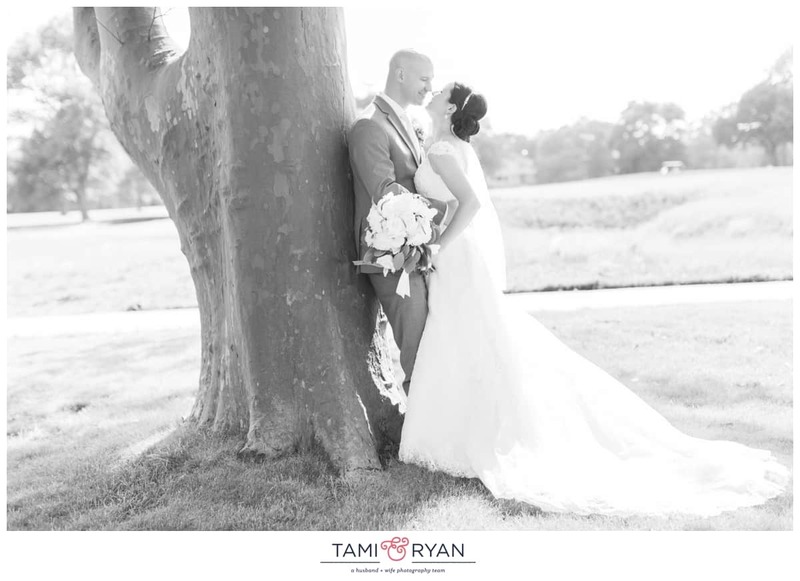 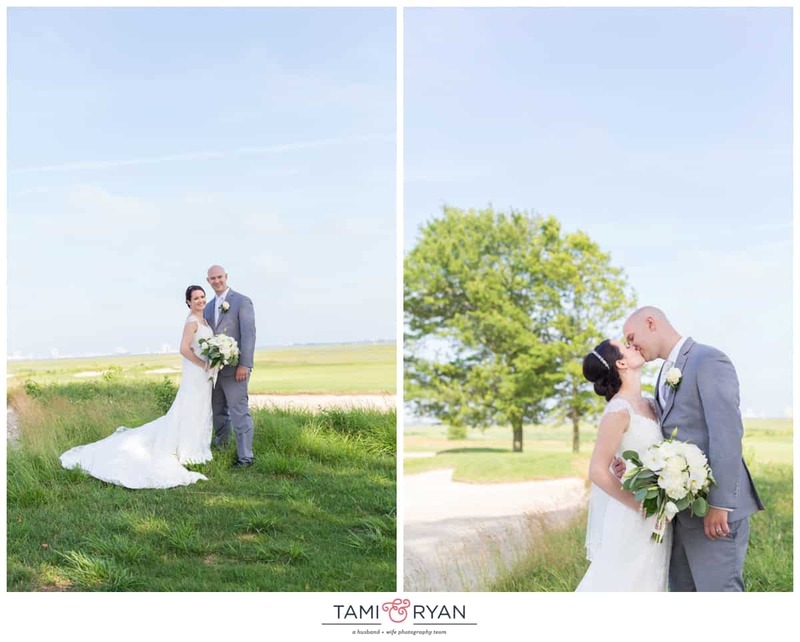 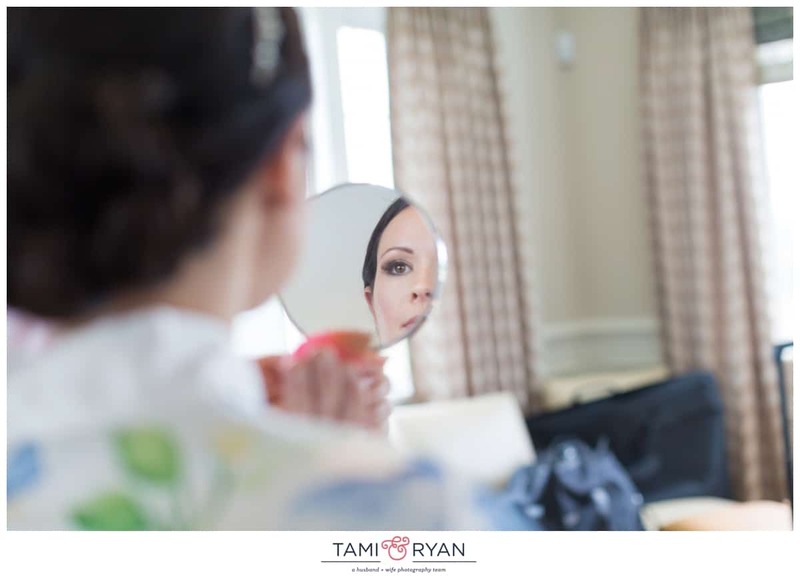 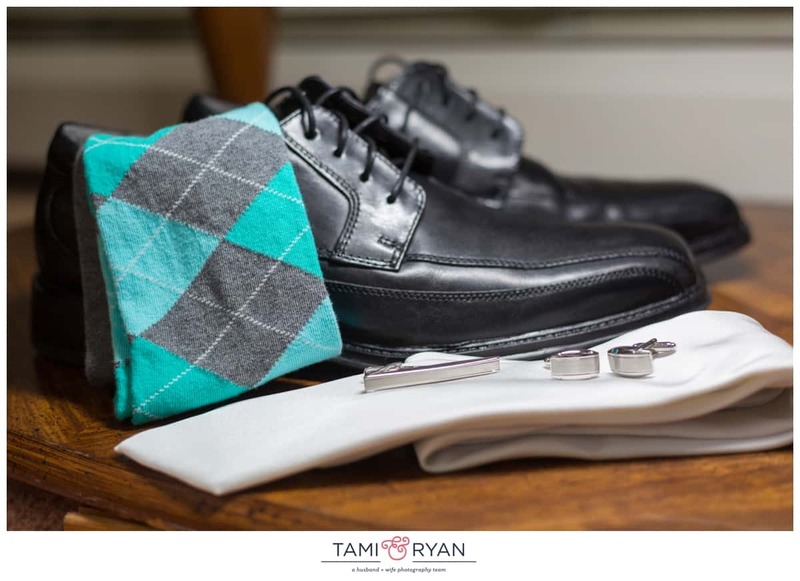 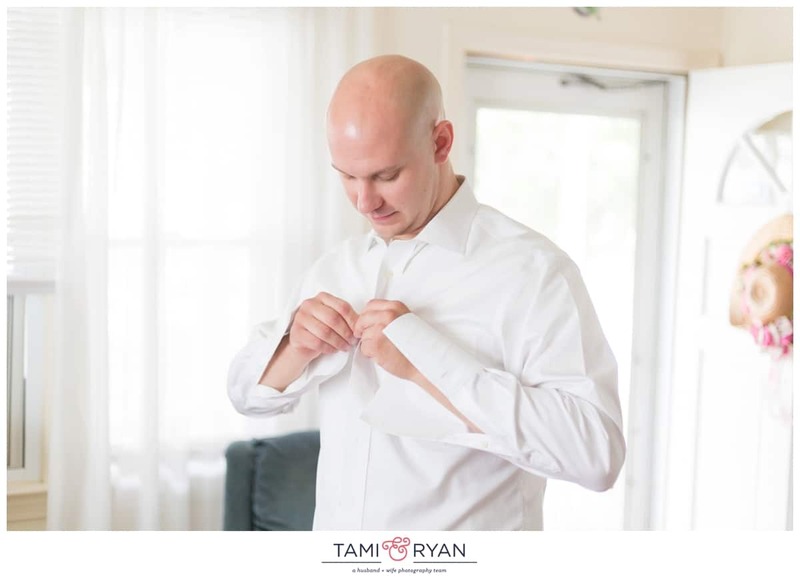 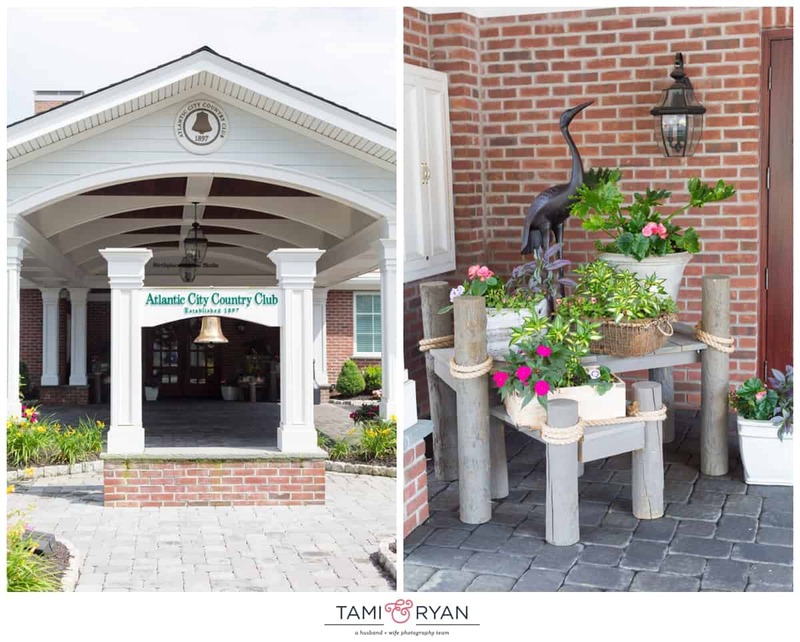 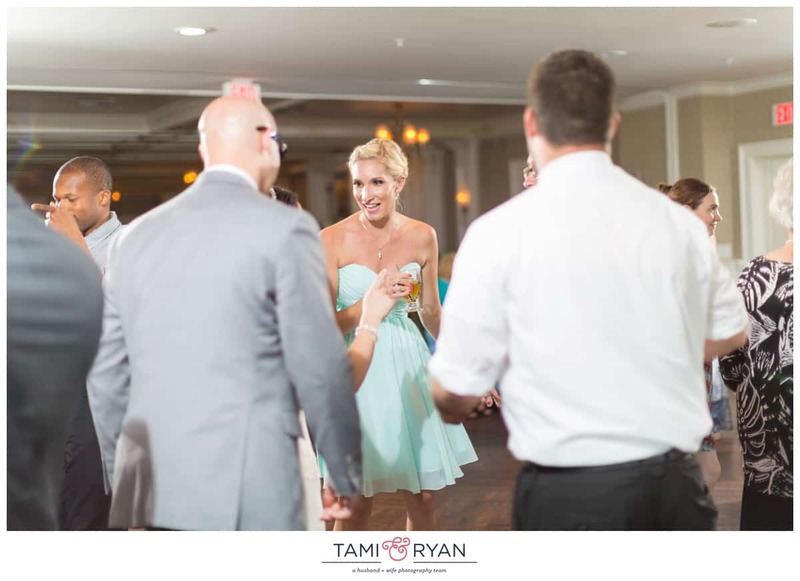 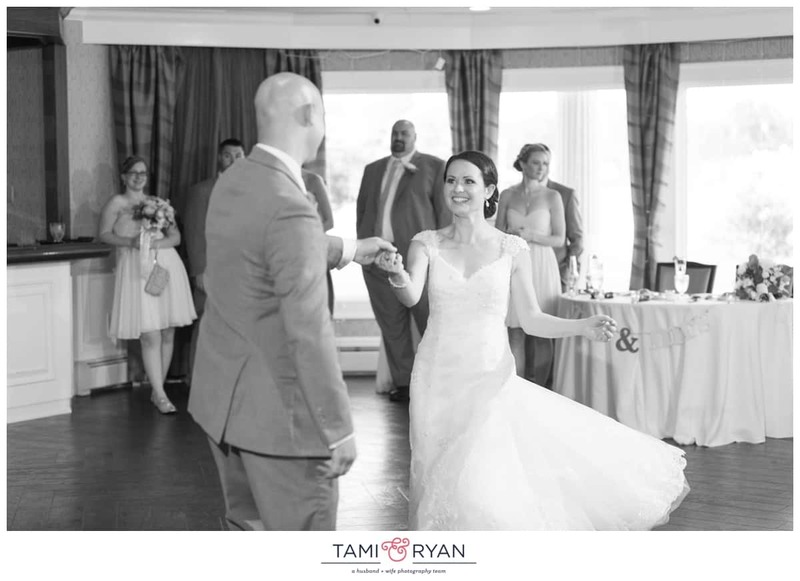 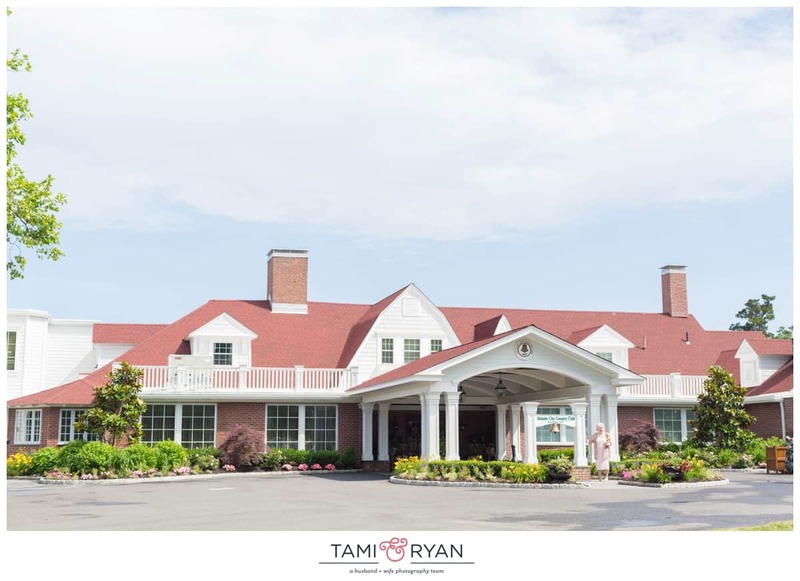 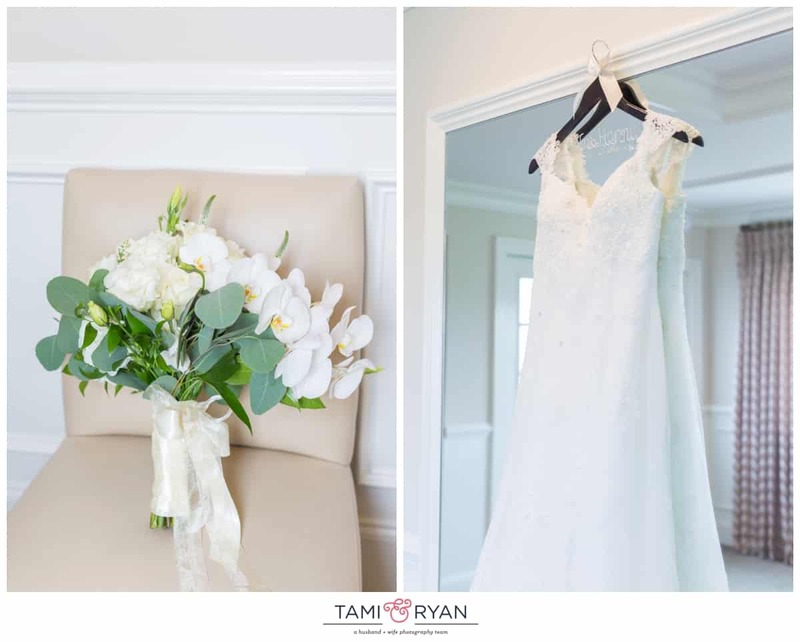 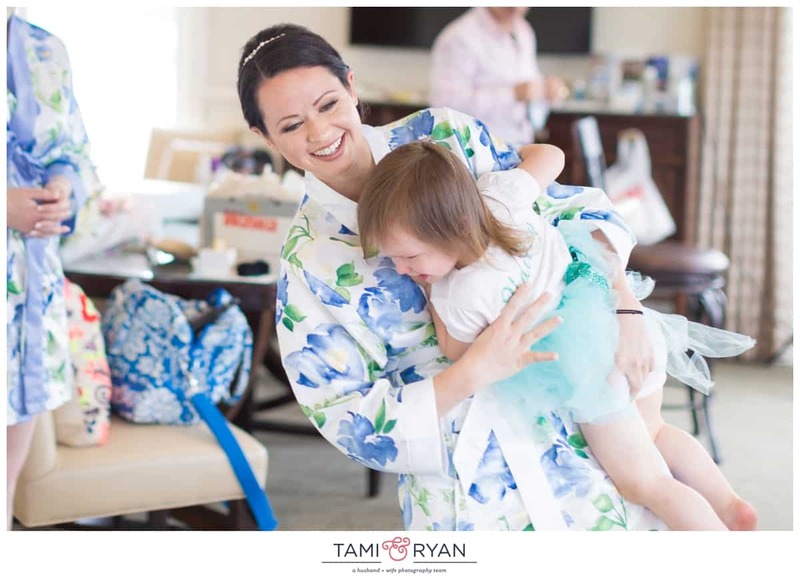 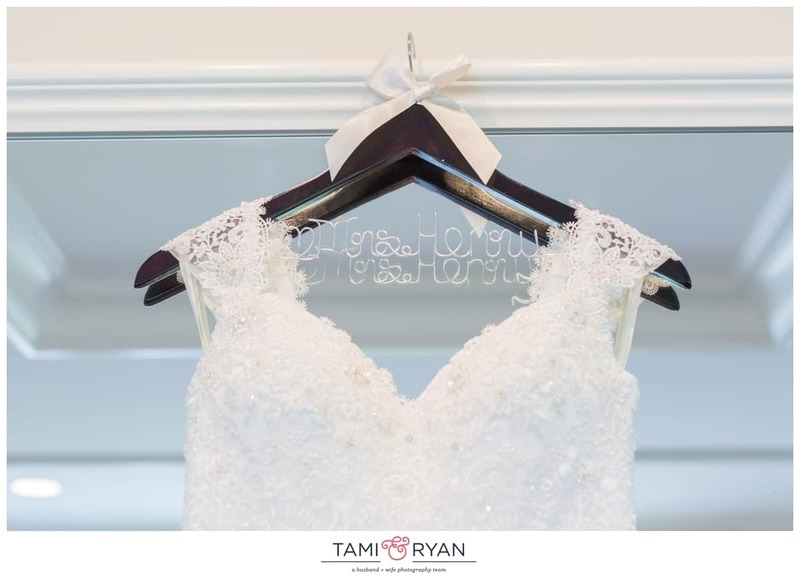 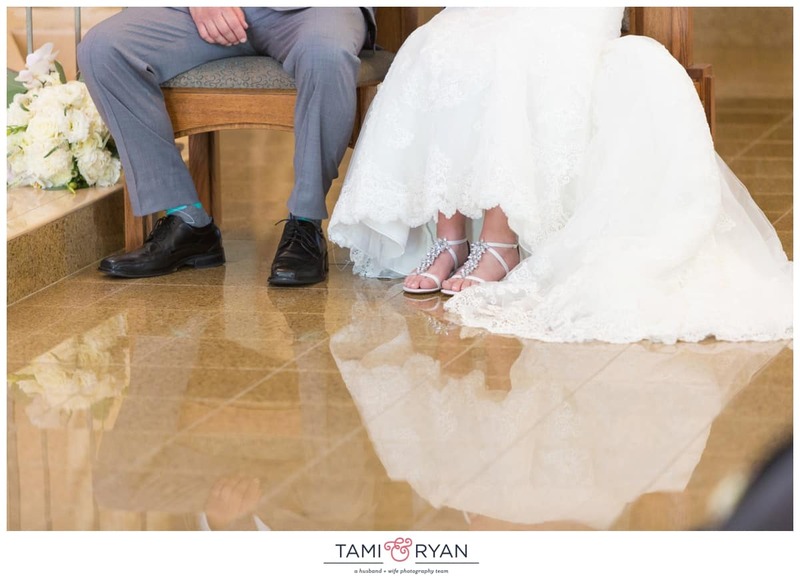 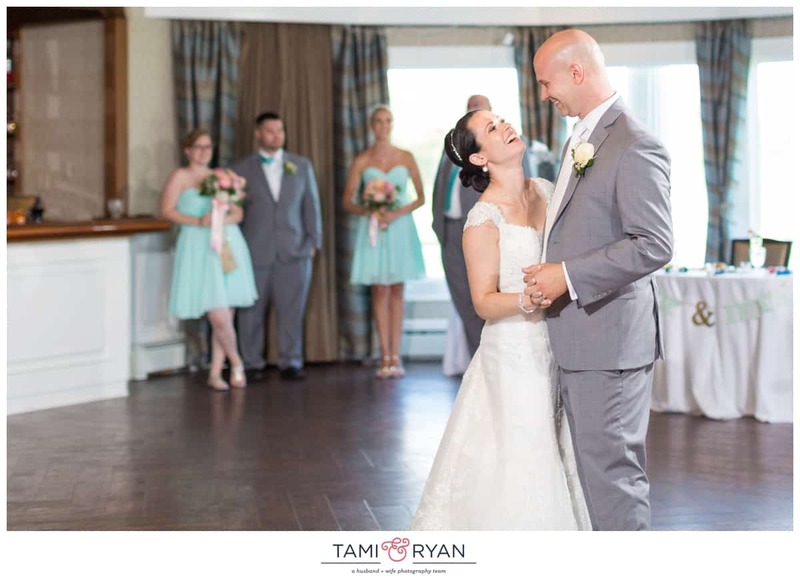 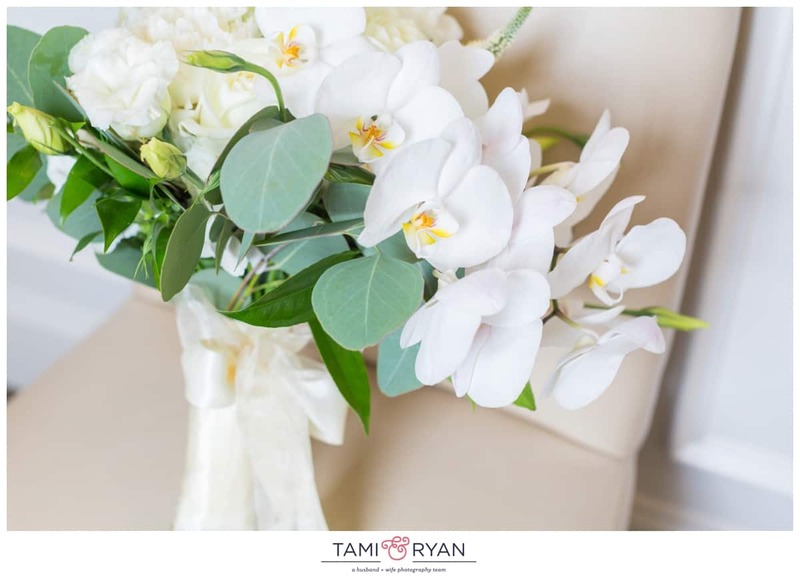 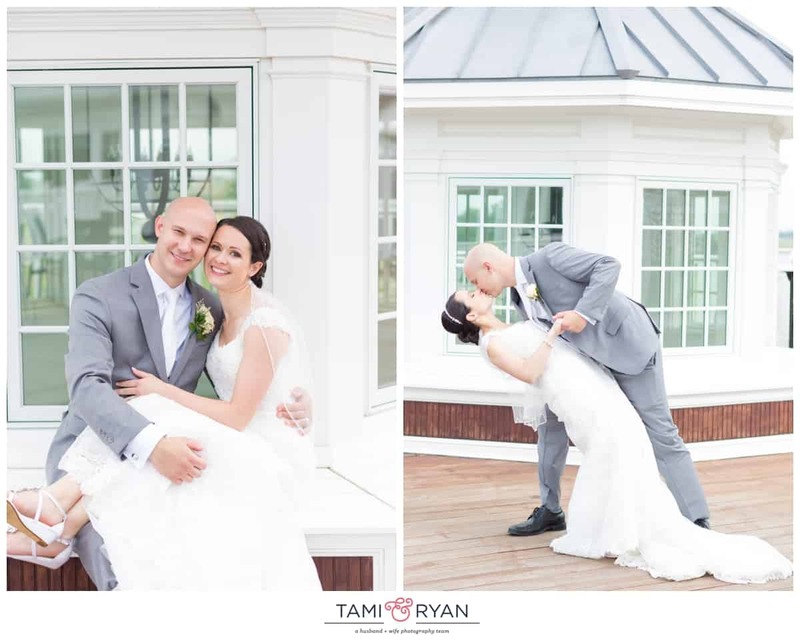 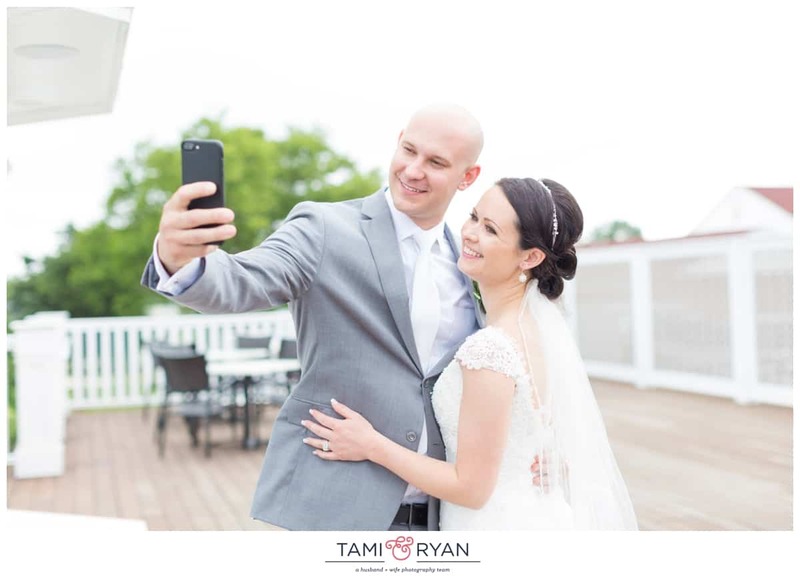 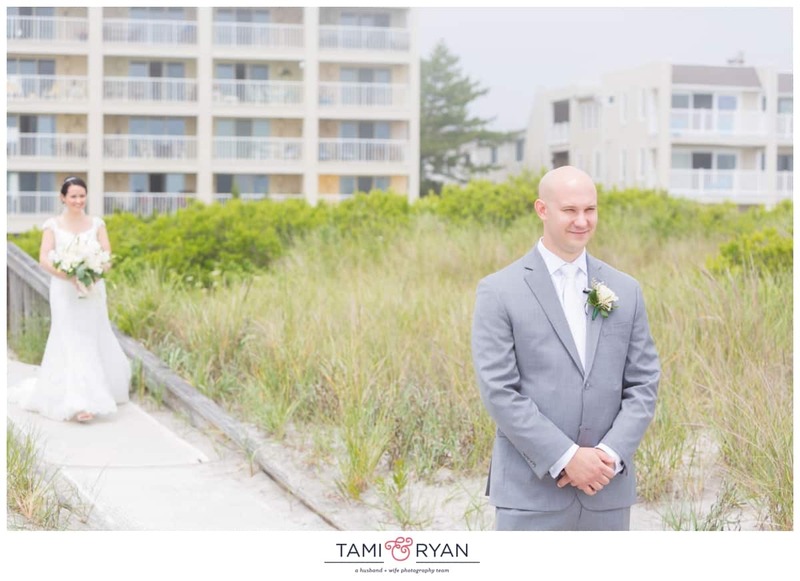 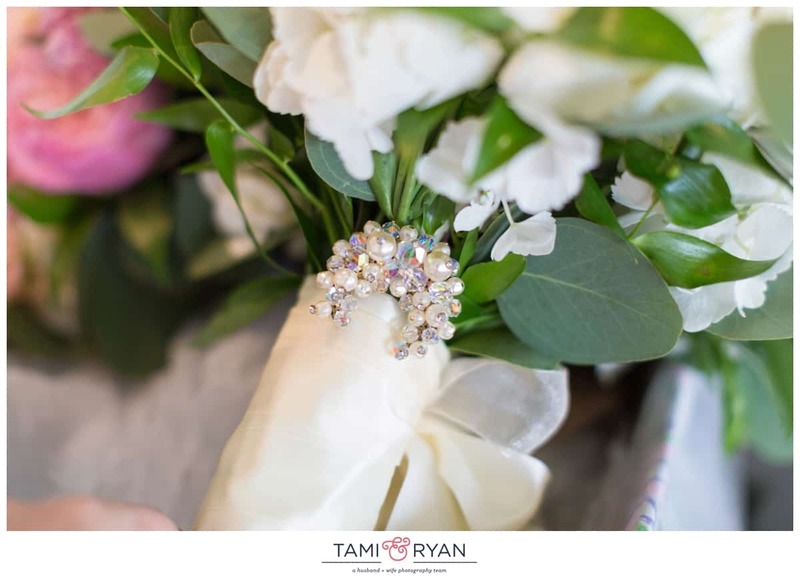 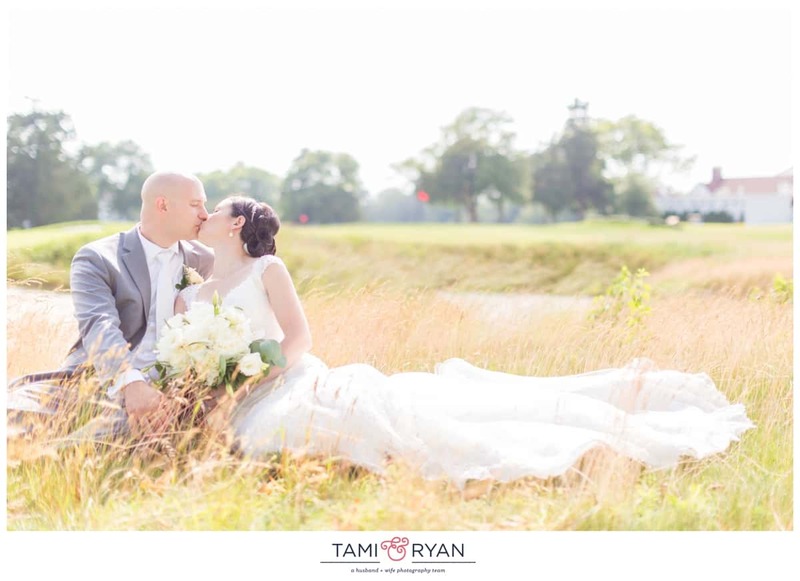 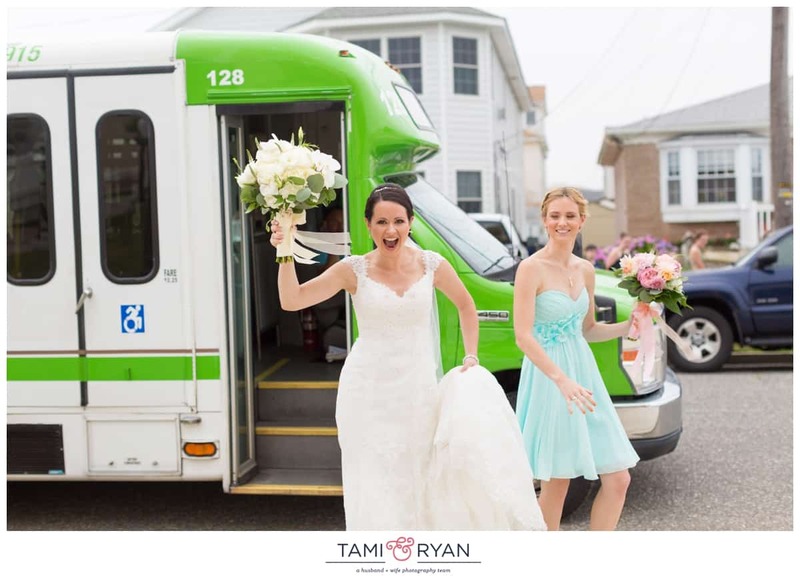 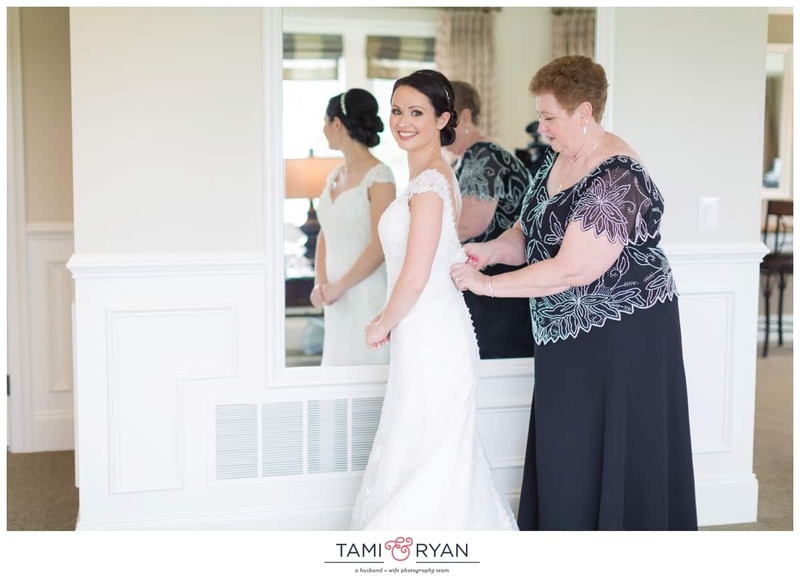 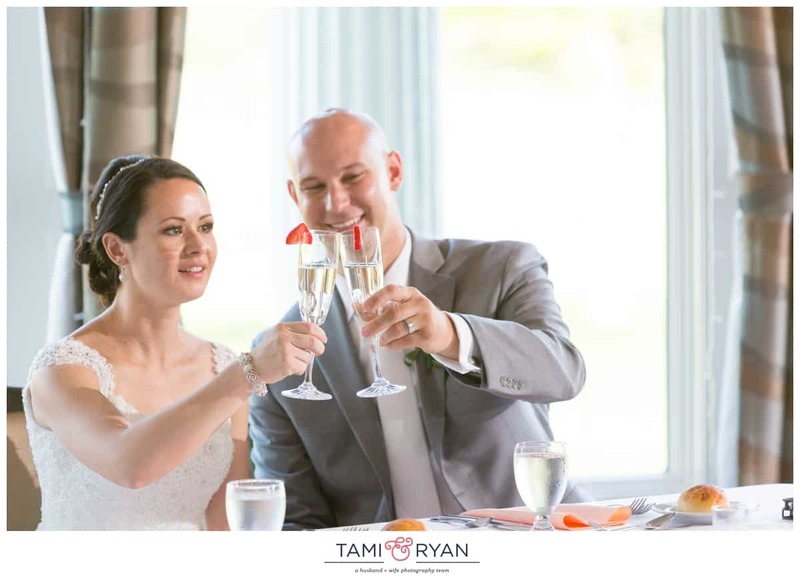 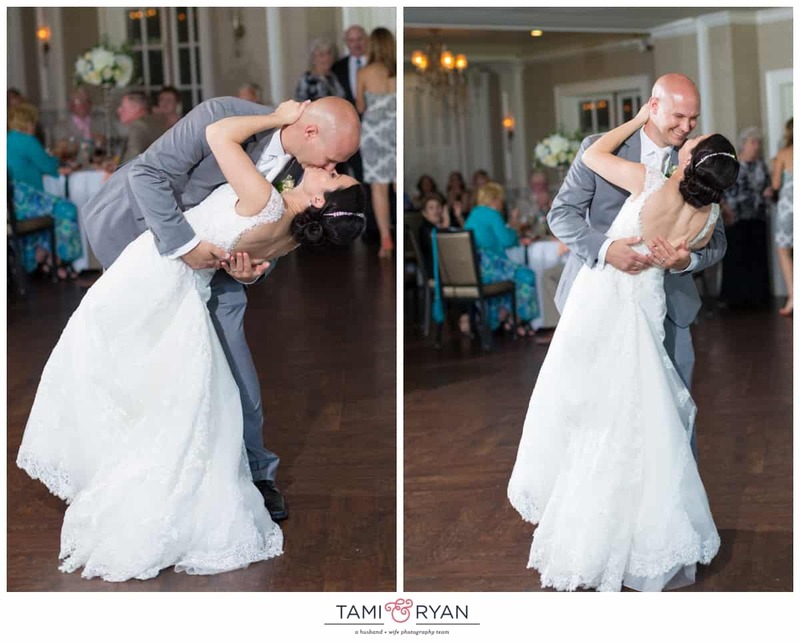 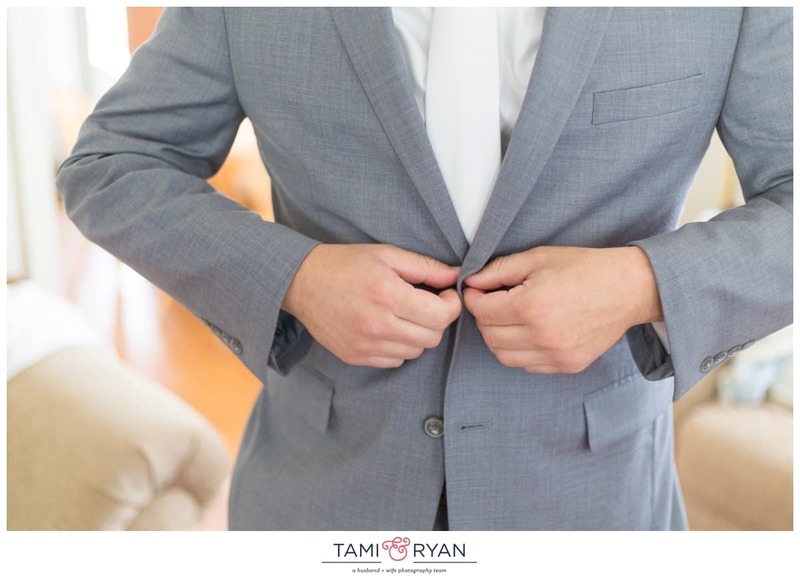 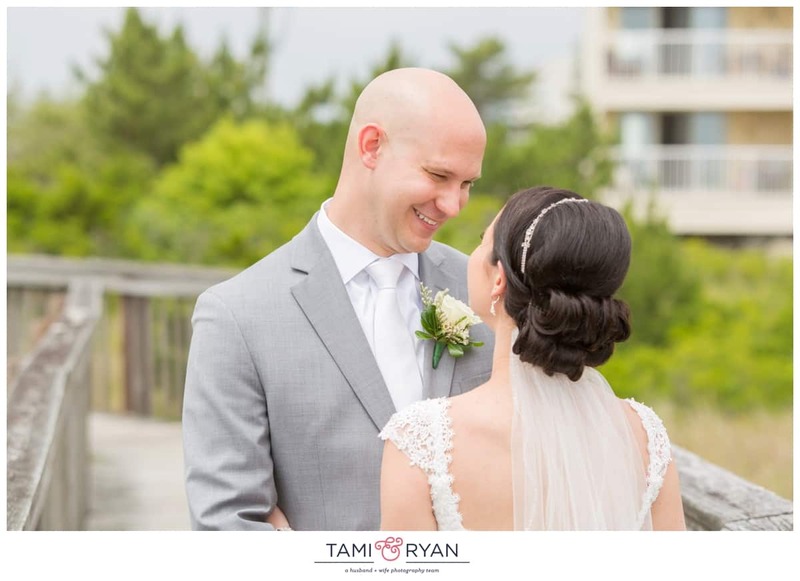 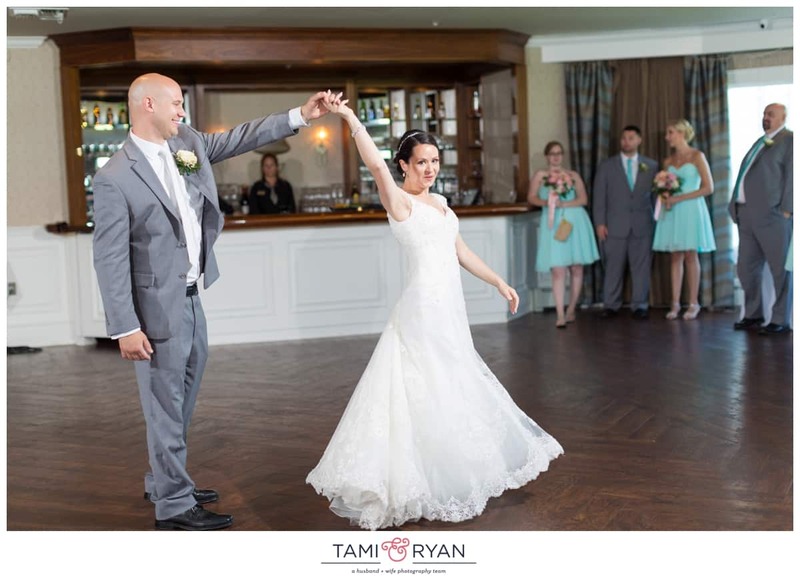 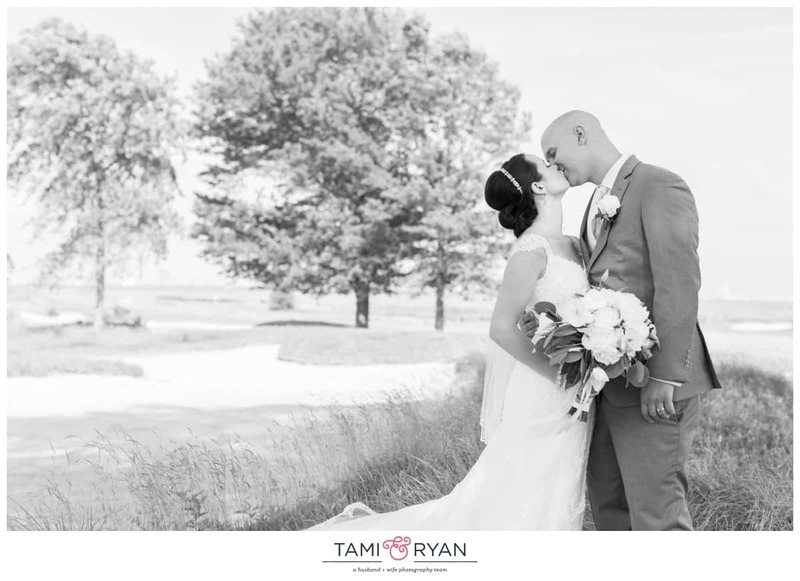 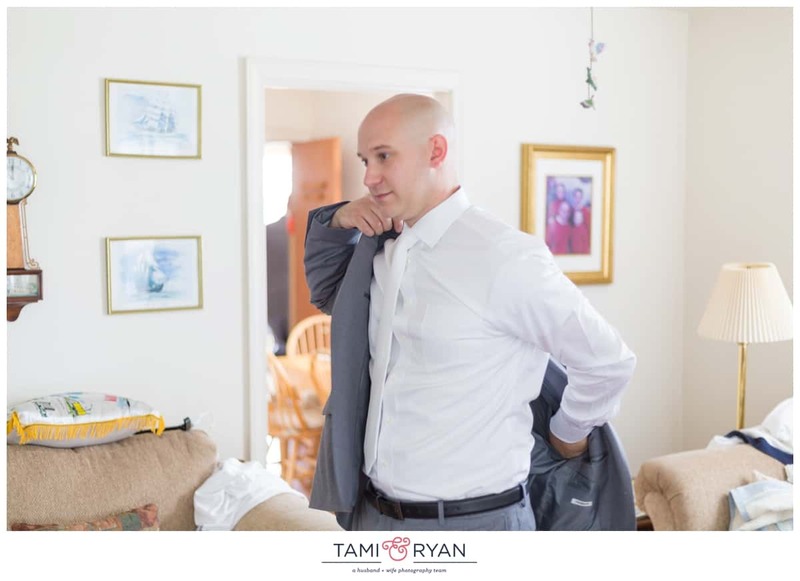 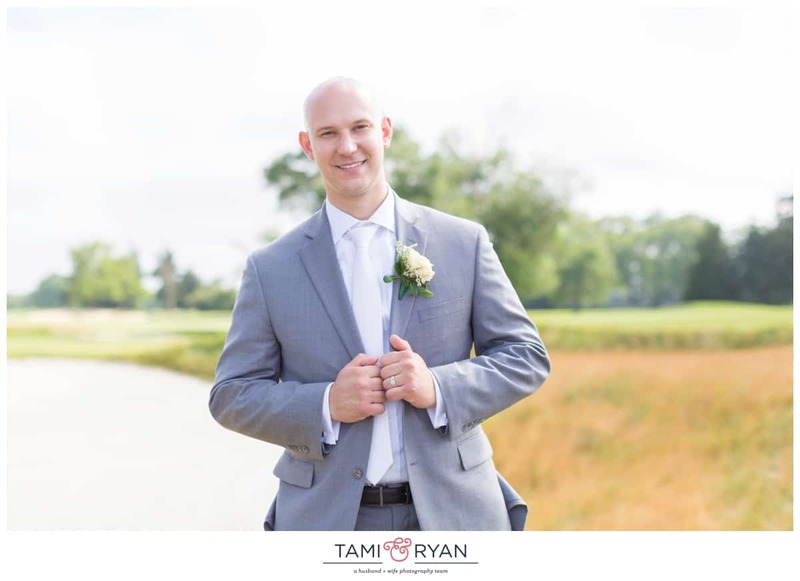 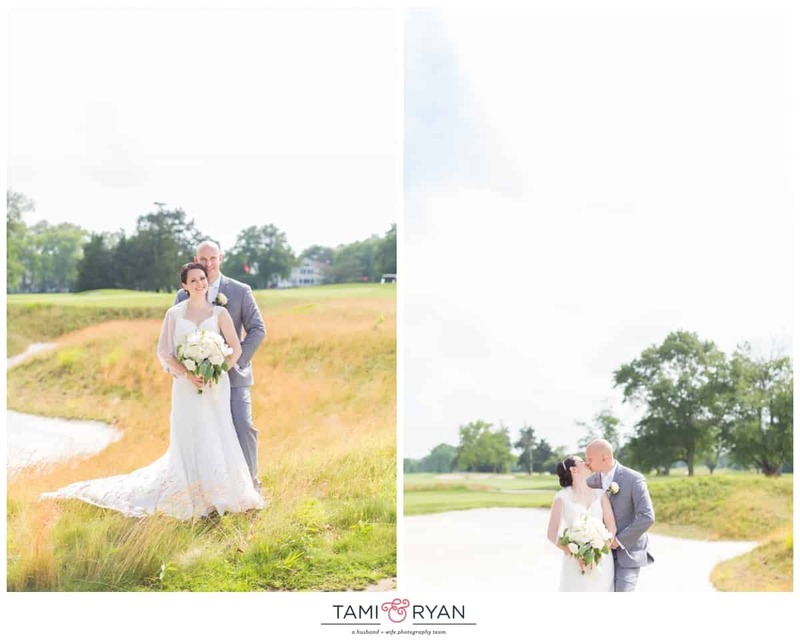 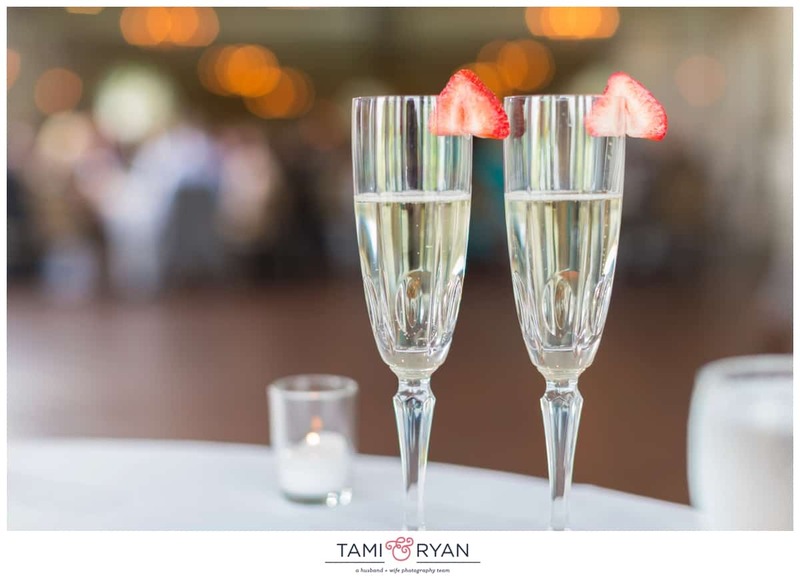 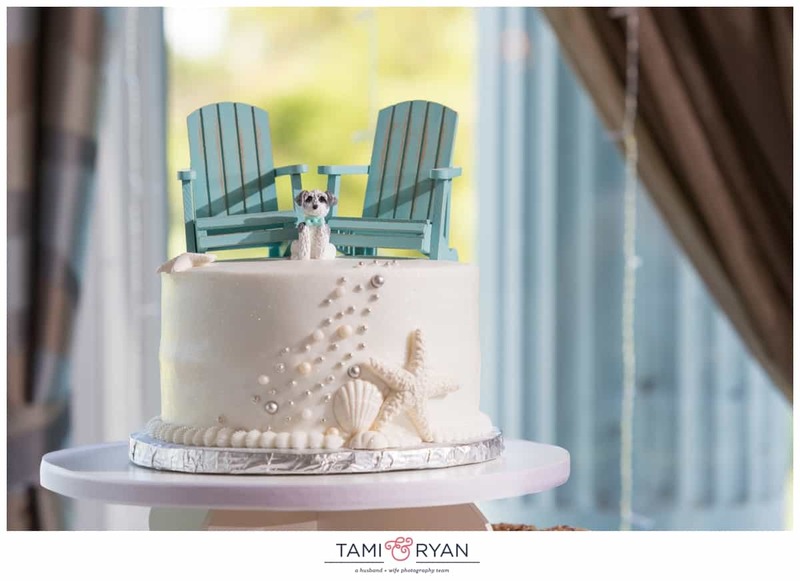 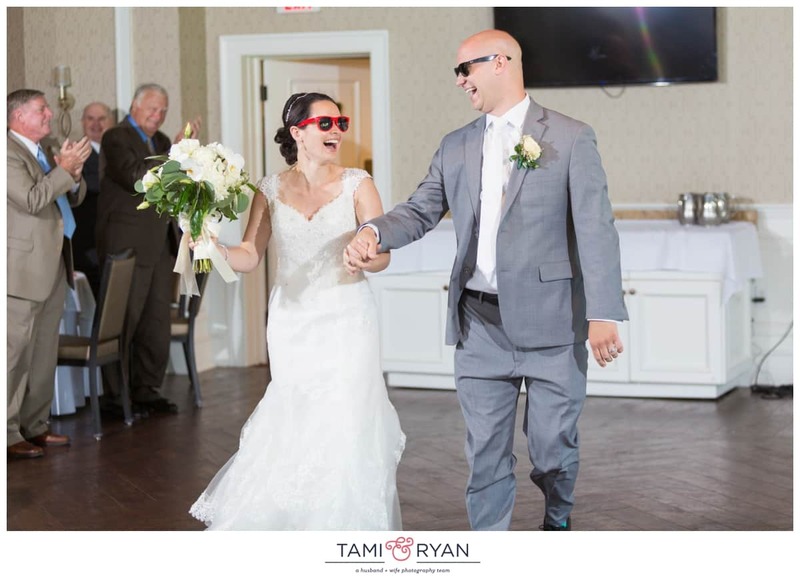 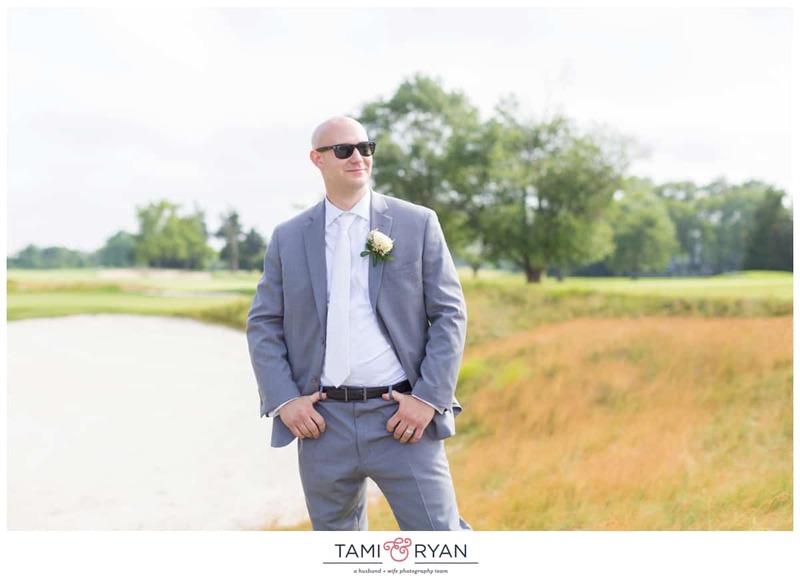 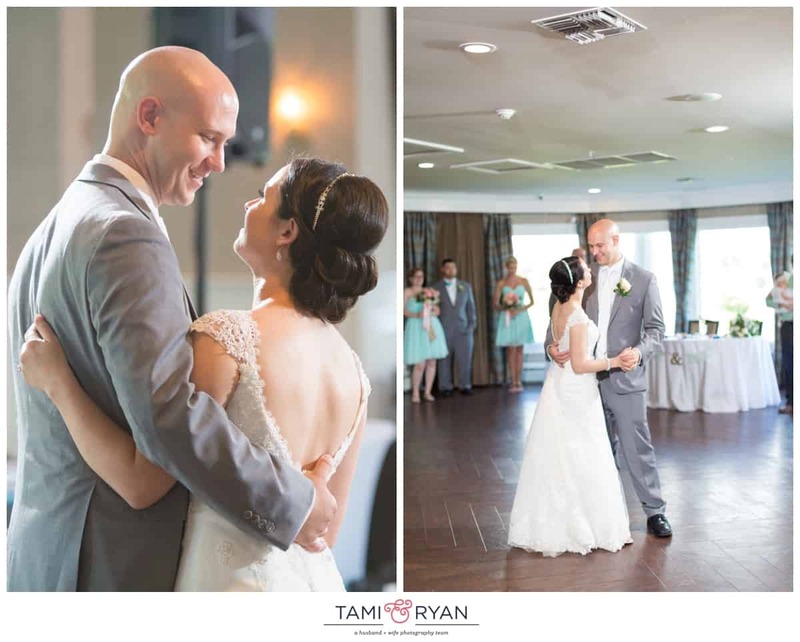 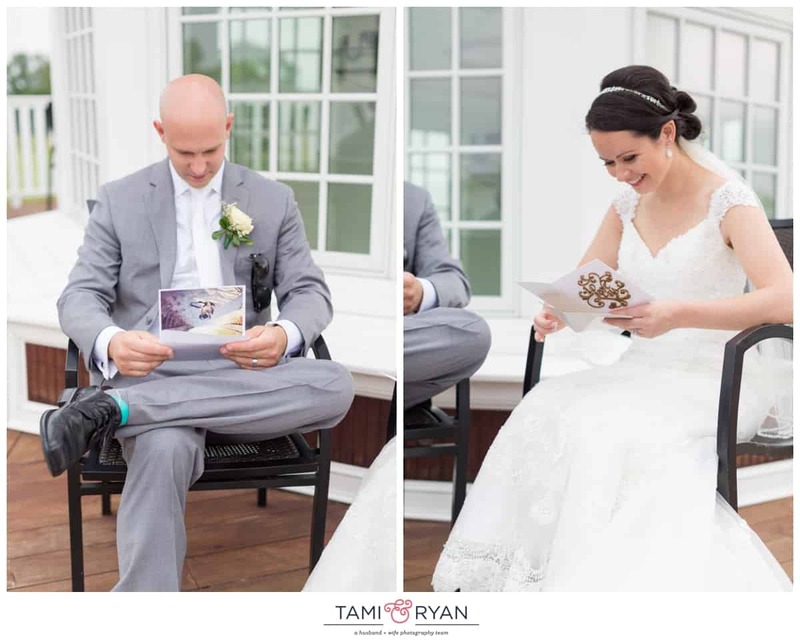 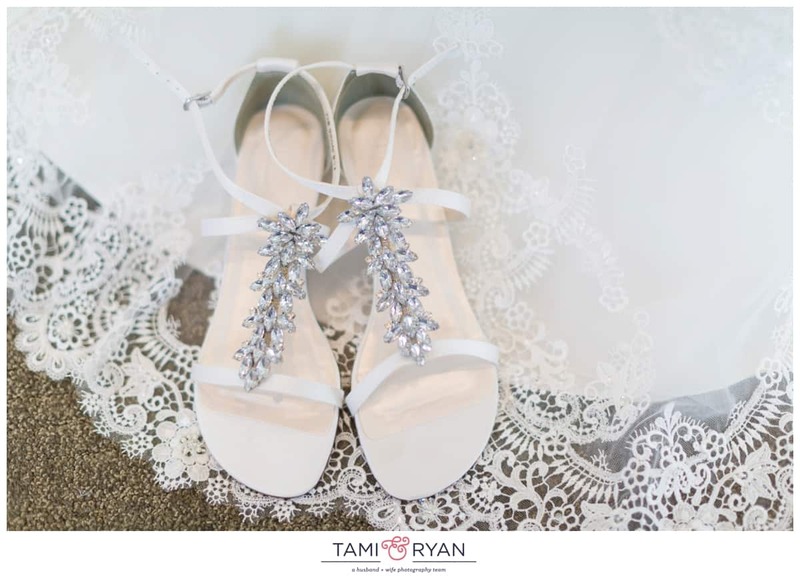 After they said their I Do’s, we hopped onto the AC Jitney and had so much time for some amazing photos around the Atlantic City County Club. 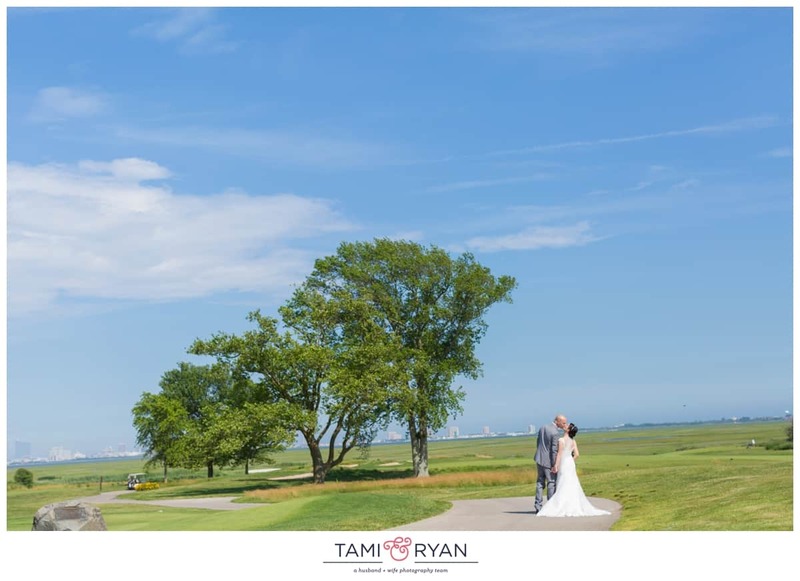 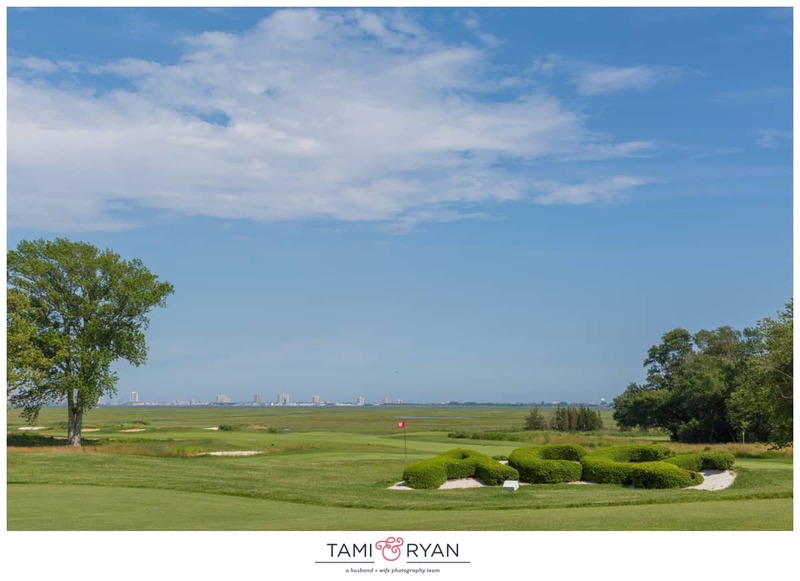 The golf course is so beautiful and you can see Atlantic City so clearly when the sky was blue and the sun was shining! 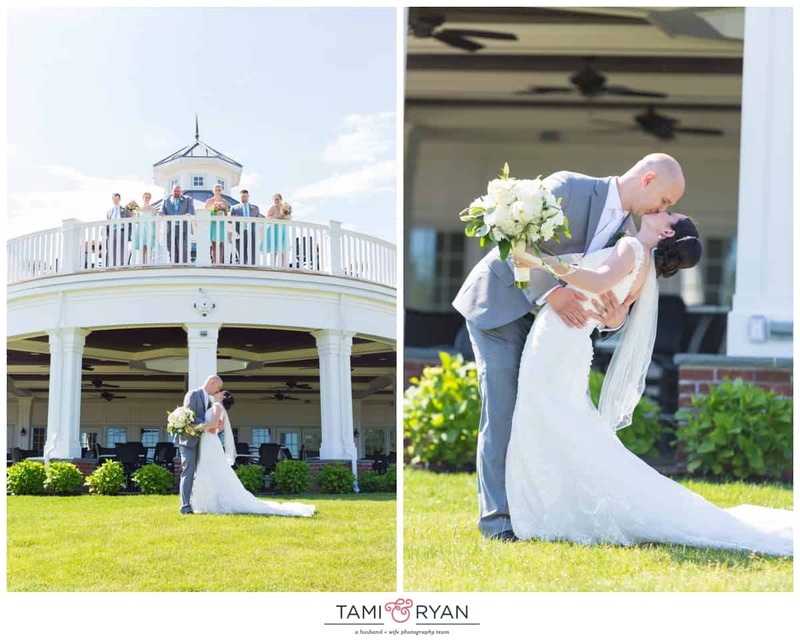 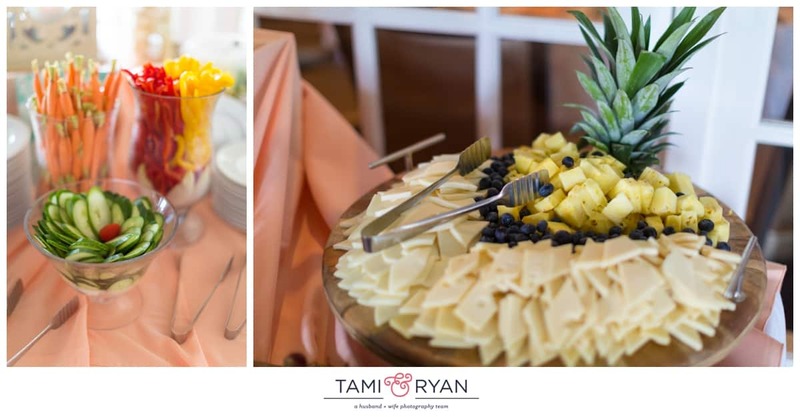 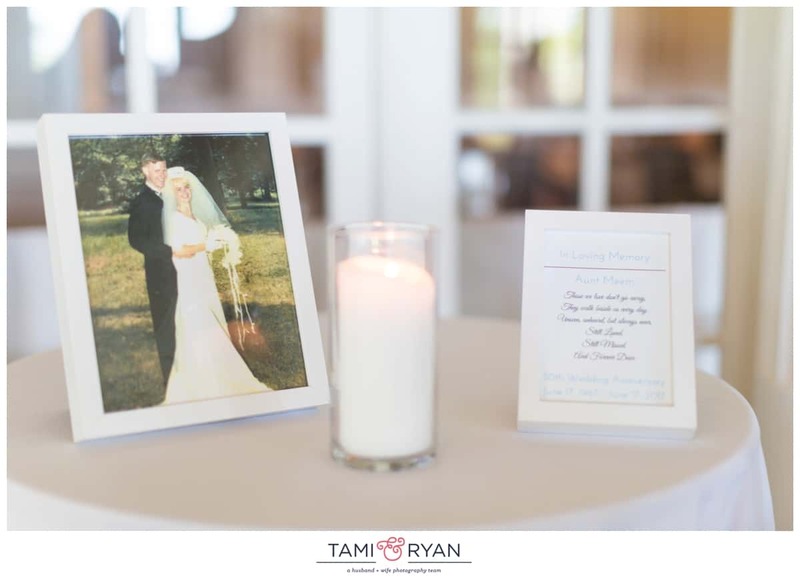 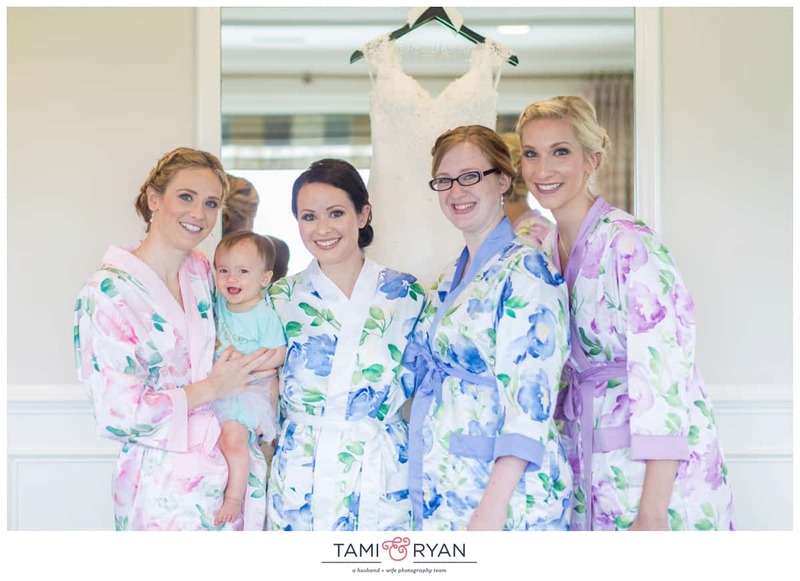 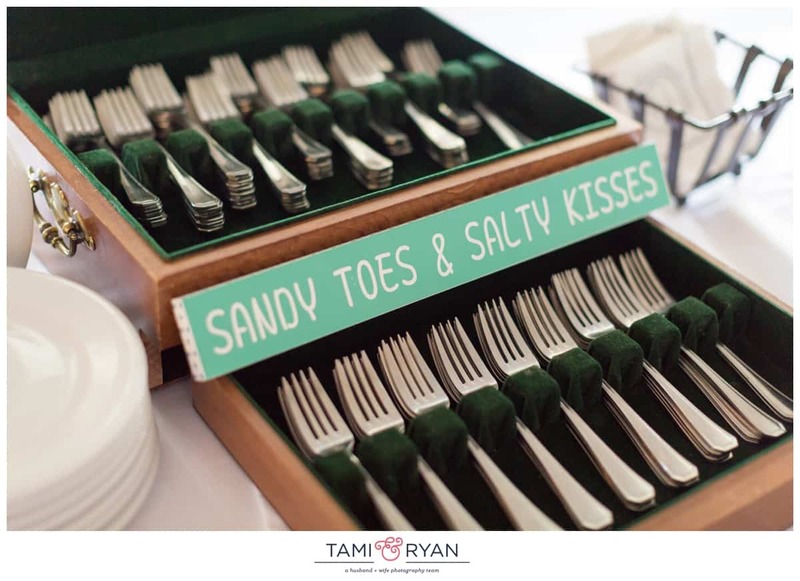 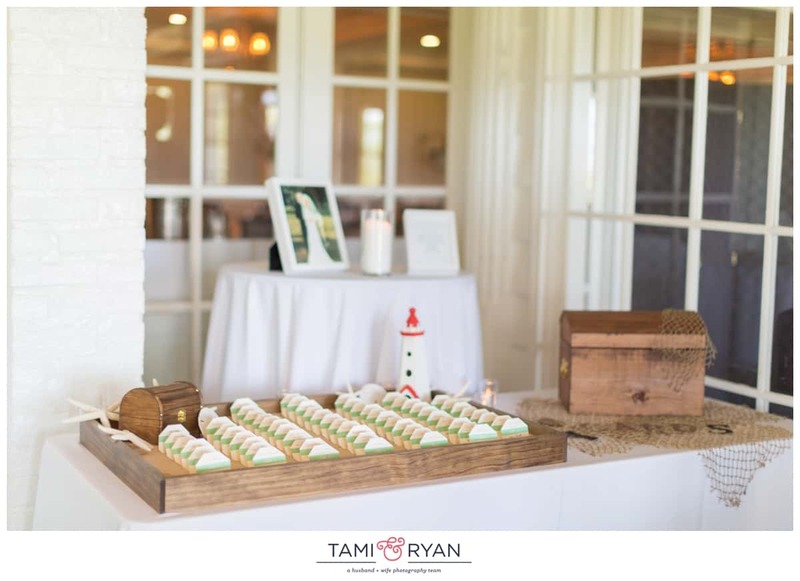 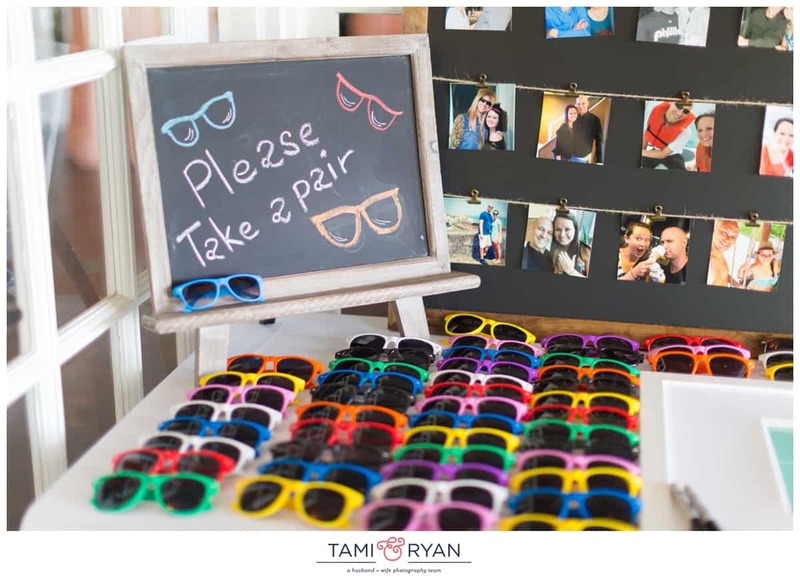 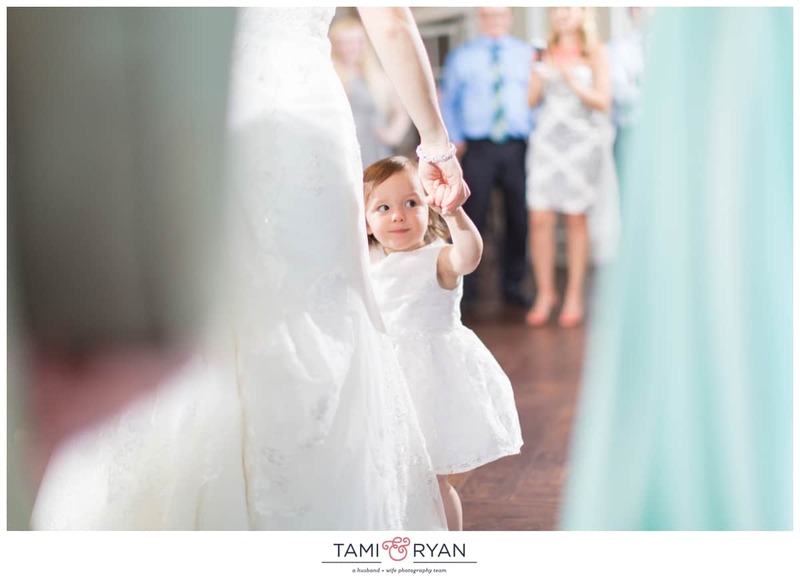 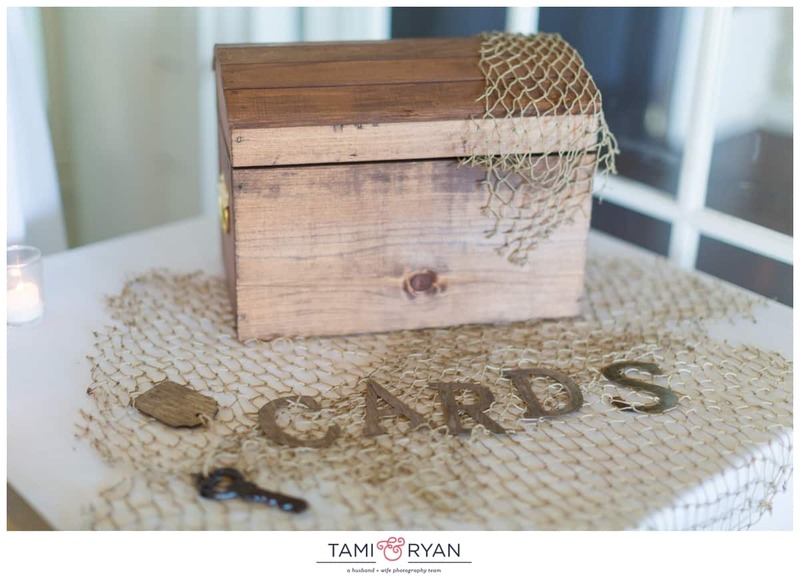 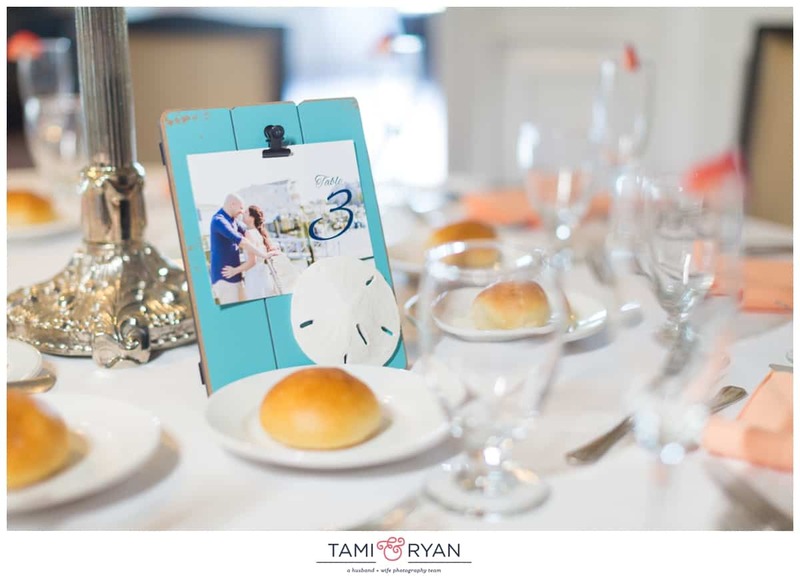 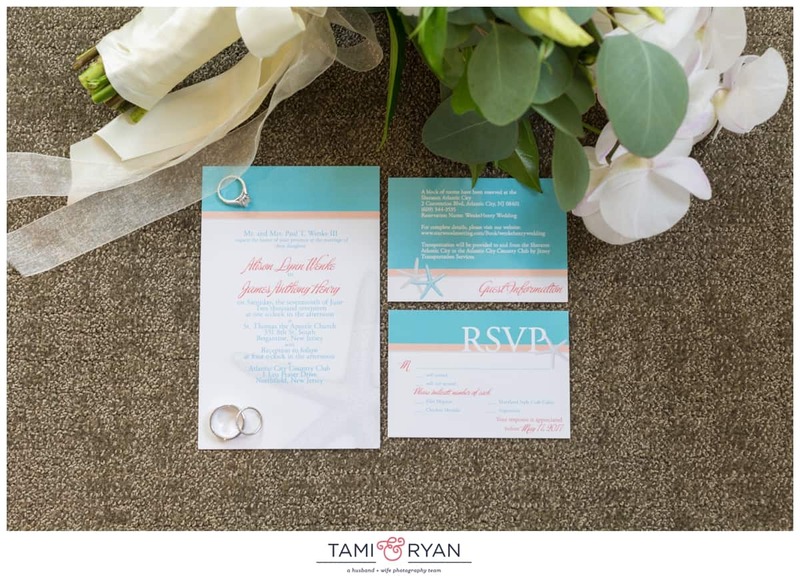 It was the perfect place to celebrate such a special day with all of their family & Friends! 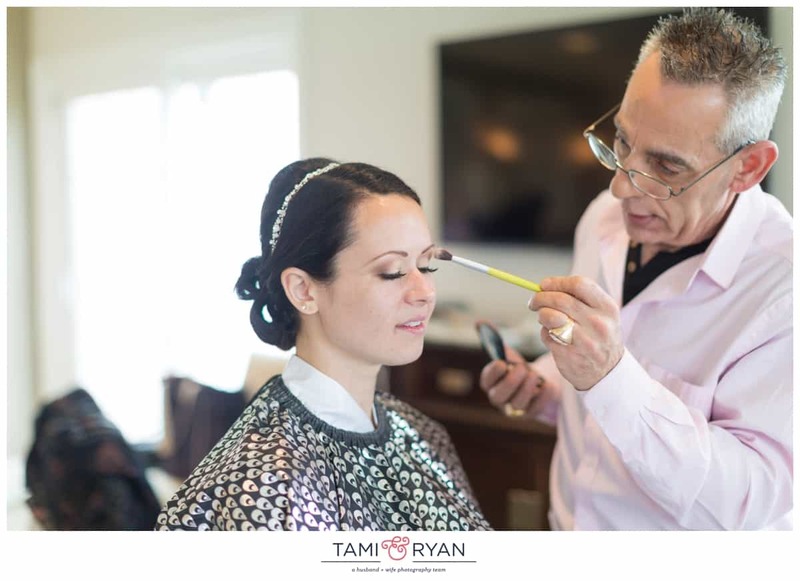 Hair & Makeup : Taffeta Hair & Makeup Design // Girls Getting Ready & Reception : Atlantic City Country Club // Guys getting ready : Alison’s Family’s House // Dress Designer : Casablanca // Groom & Groomsmen Attire : Jos A Bank // Florals : Betina’s at Parkview // DJ : FMM Productions // Jewelry : Block Jewelers // Invitations : Magnet Street // Transportation : AC Jitney // Cupcakes : Simply Sweet Cupcakes Hailey & Peyton were the cutest members of the Petal Patrol! 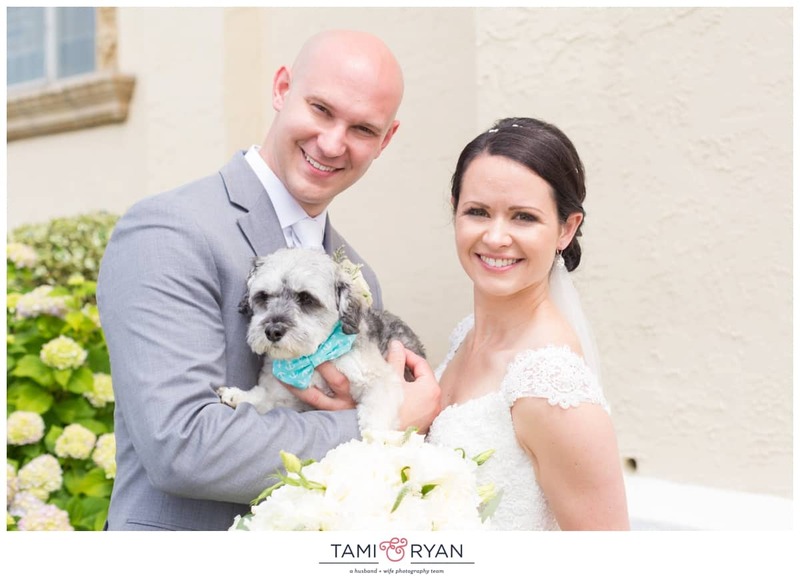 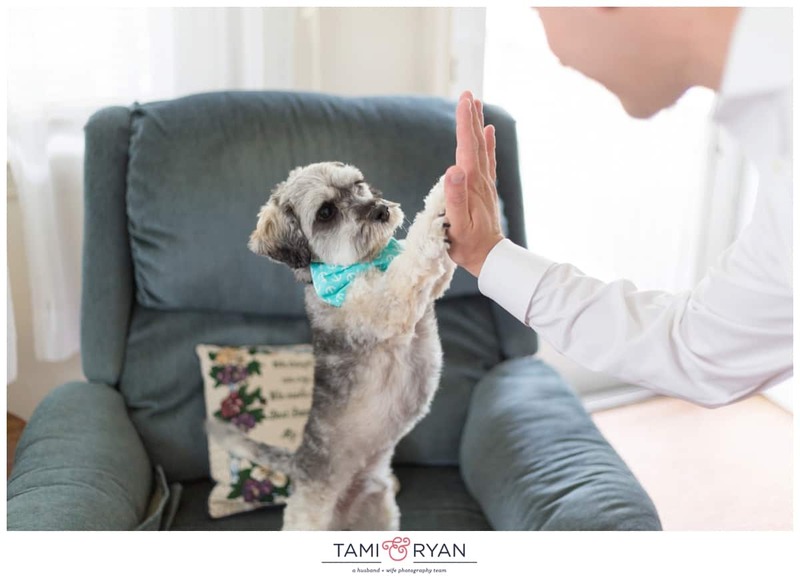 Meet Finley – Alison & Jim’s fur-son! 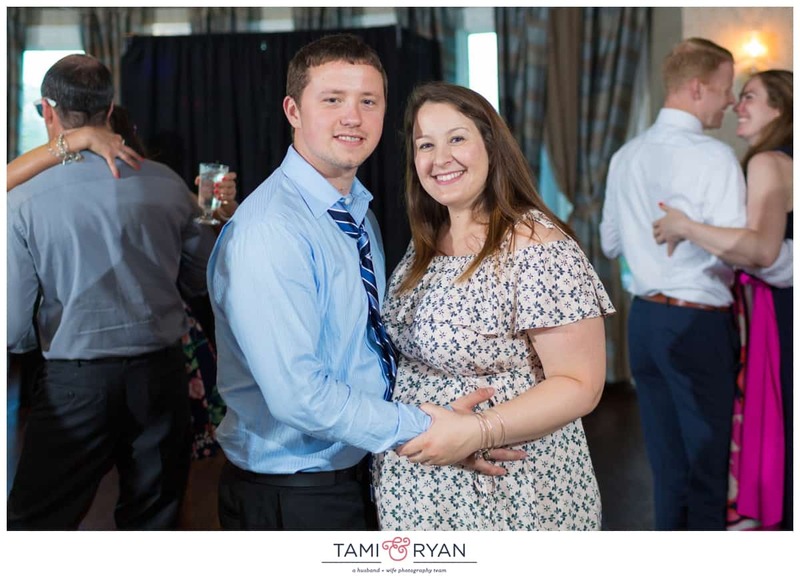 Do these two look familiar?! 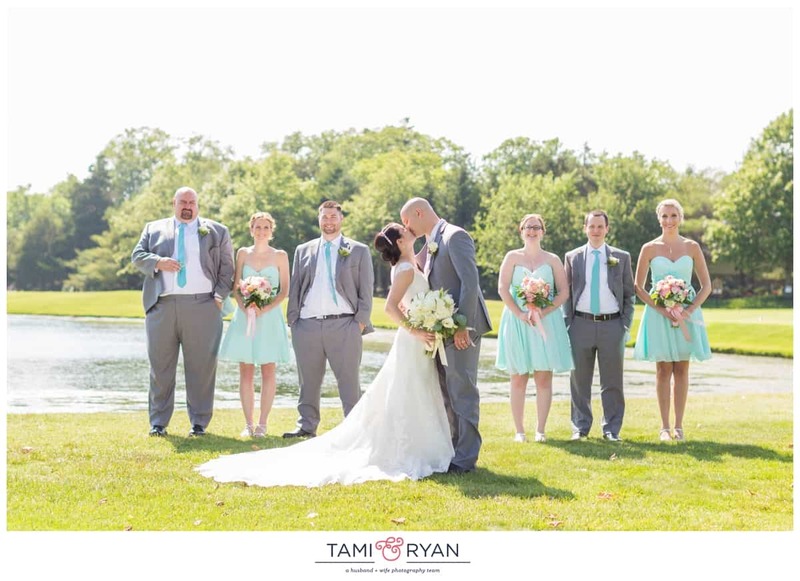 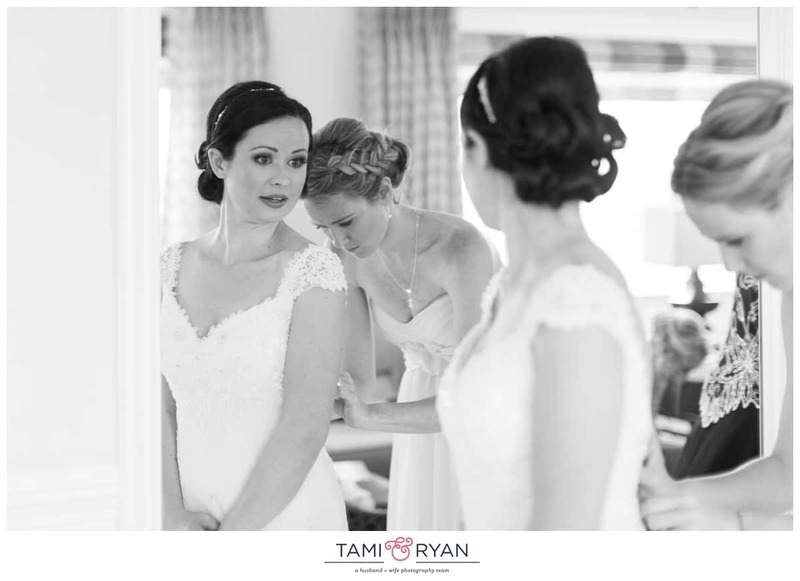 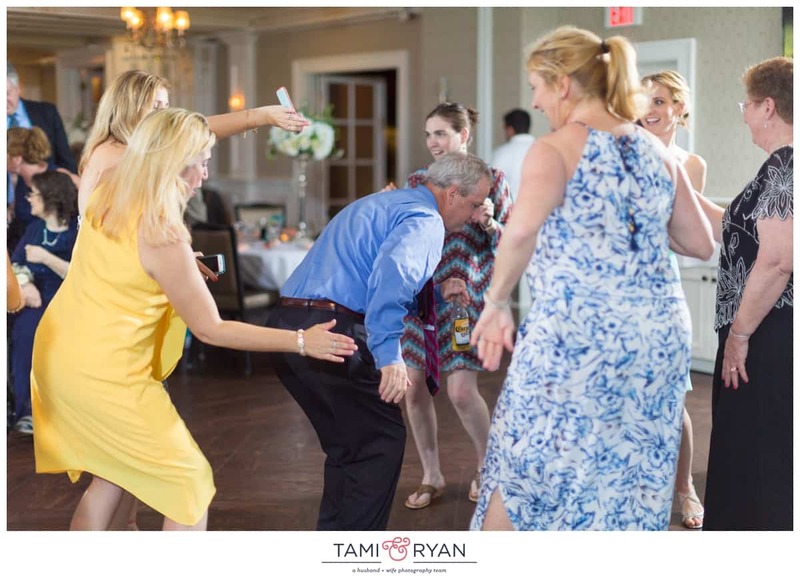 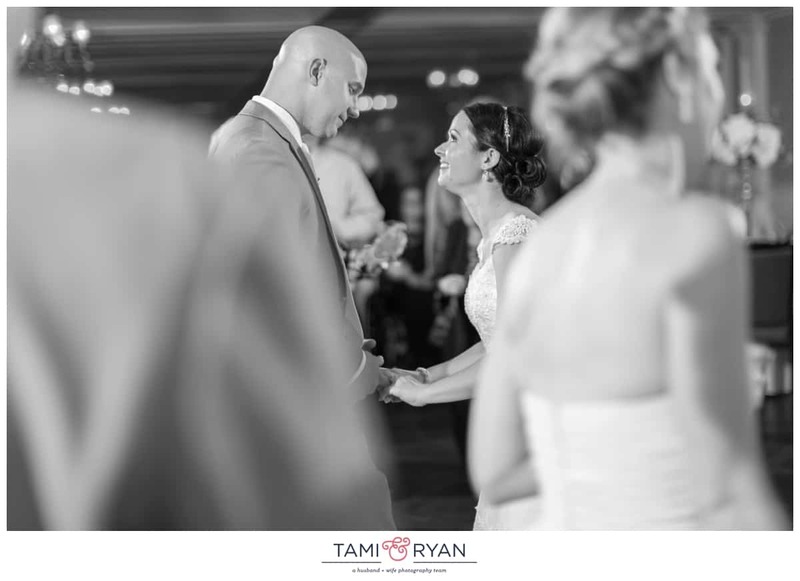 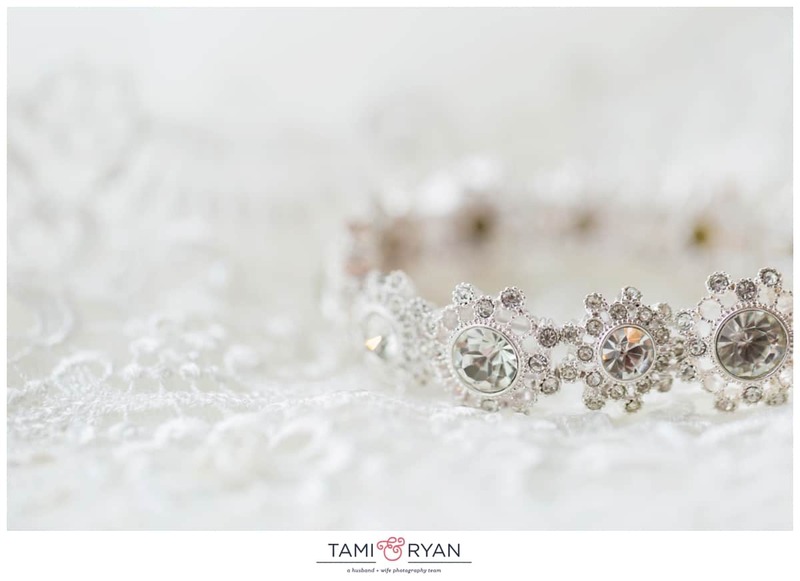 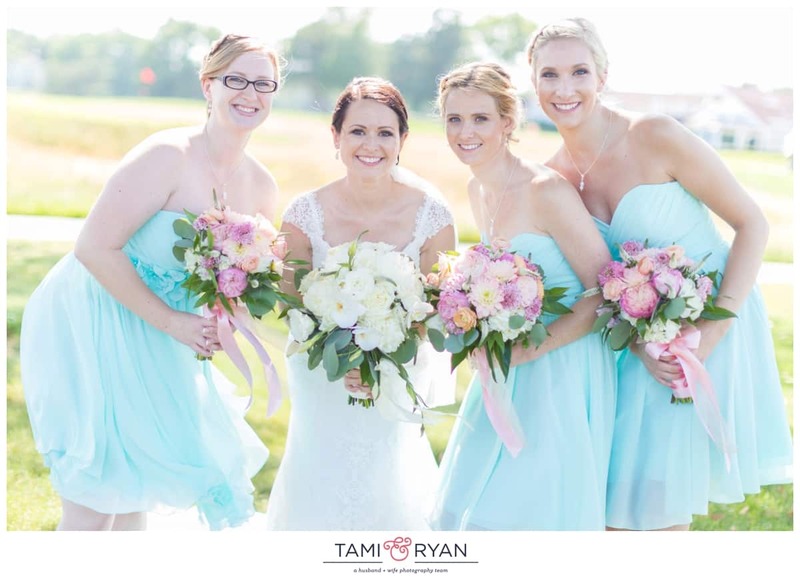 We captured Megan & Keith’s wedding back in 2014!